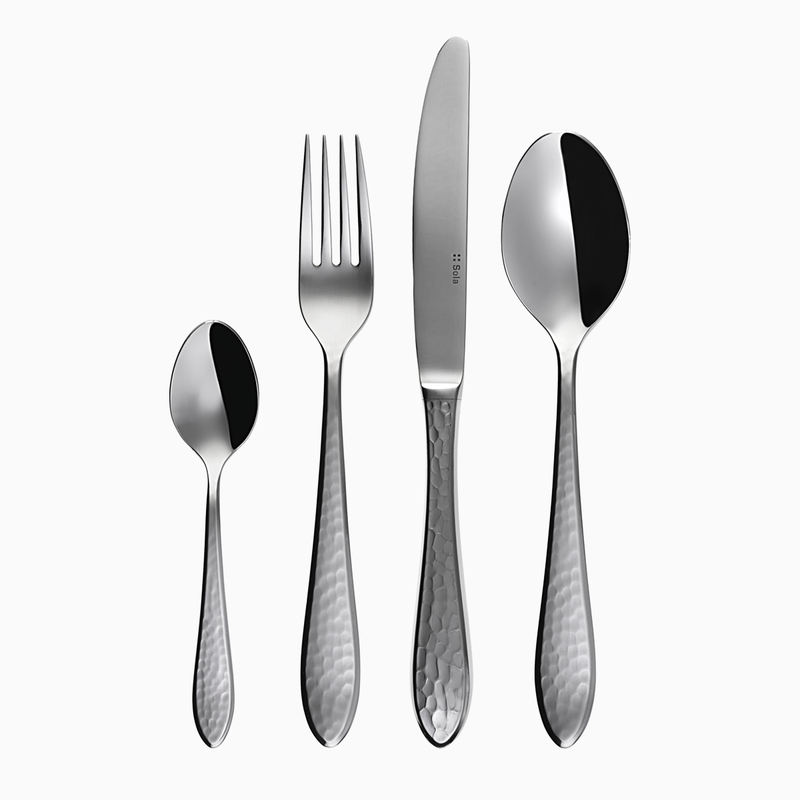 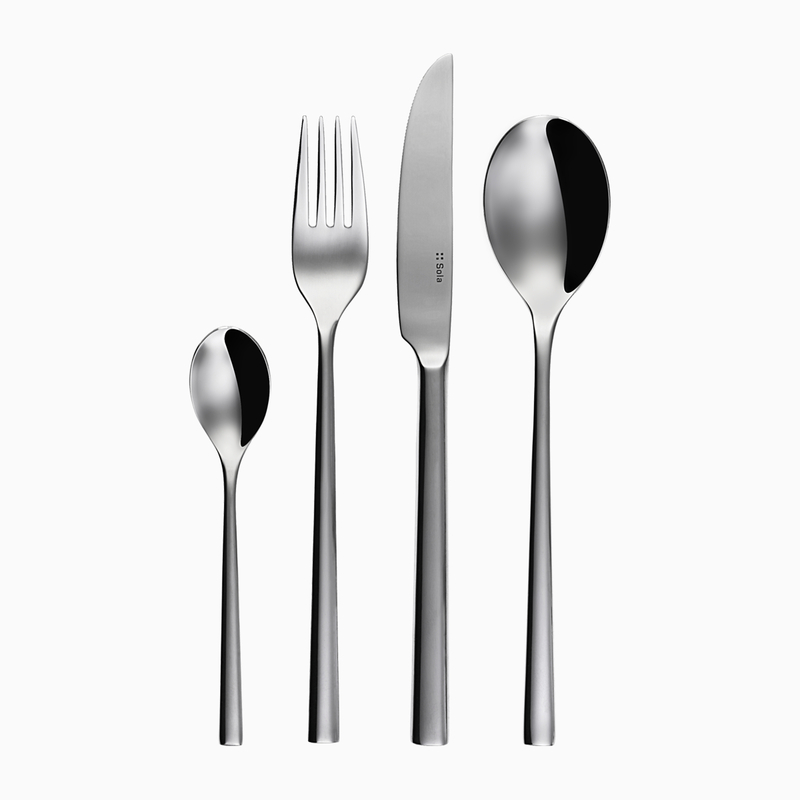 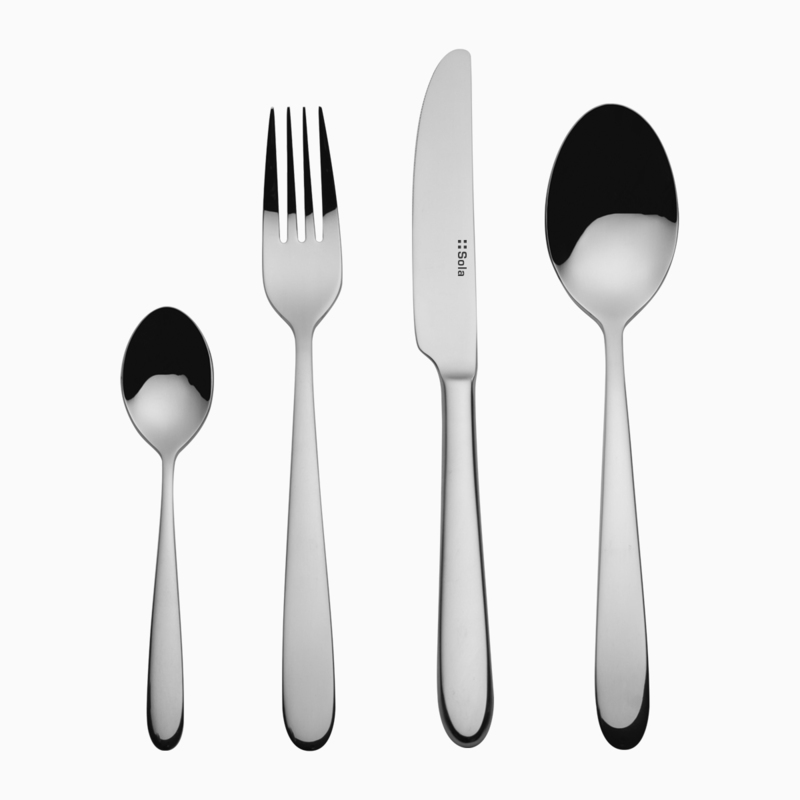 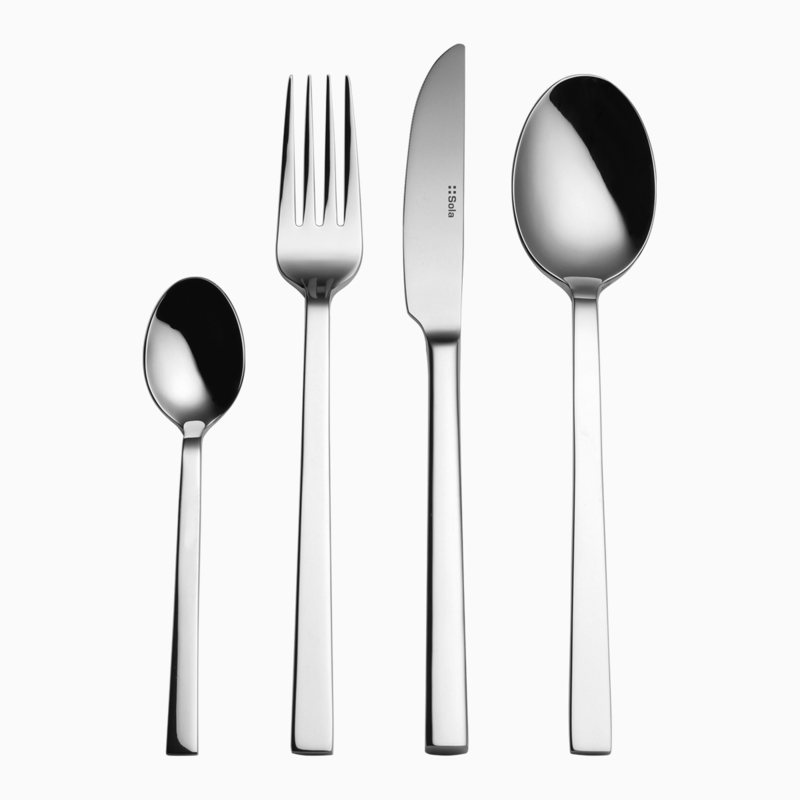 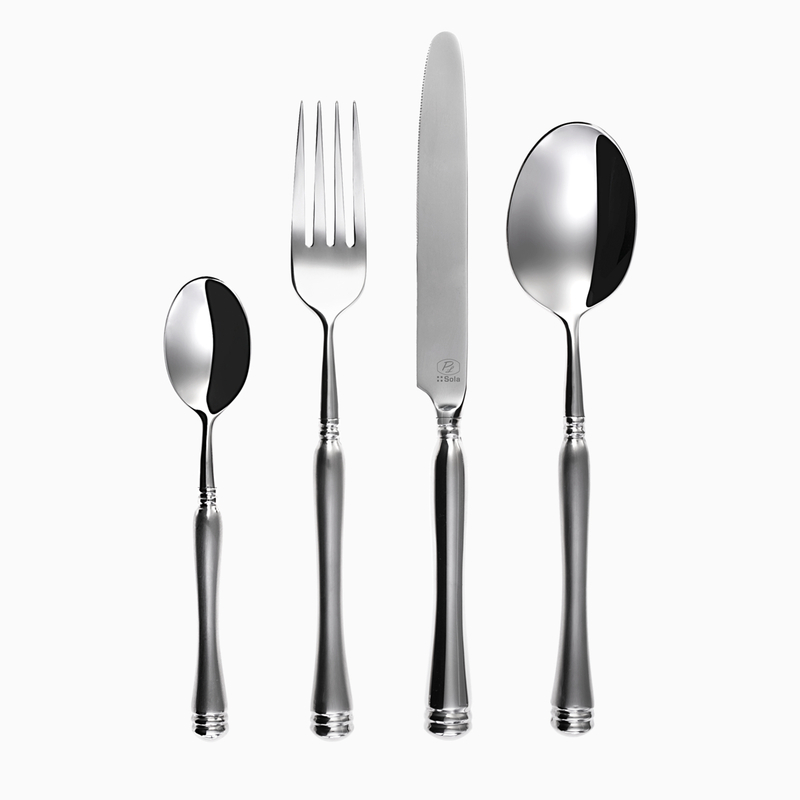 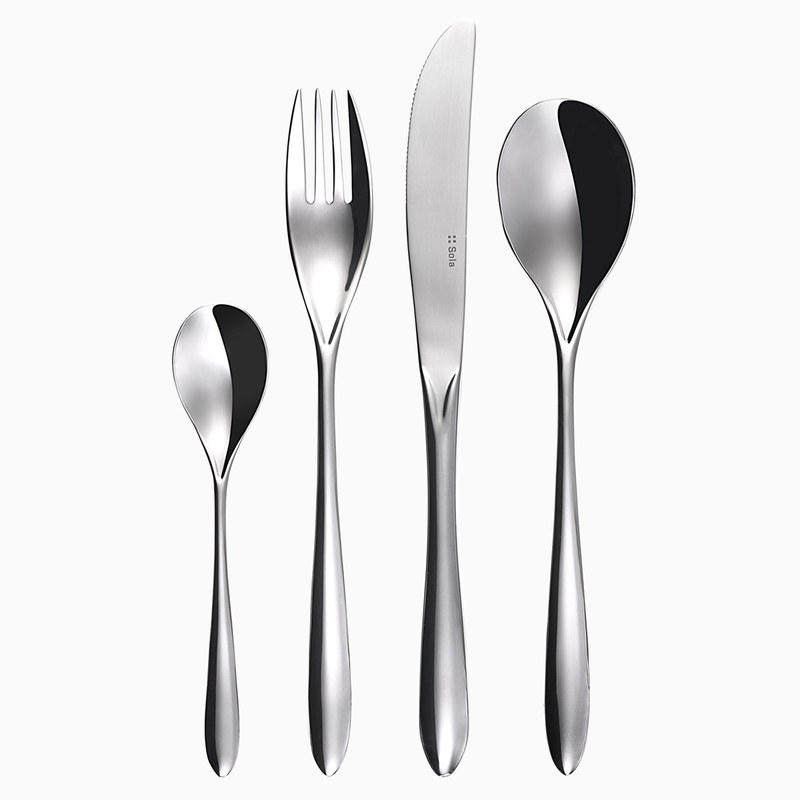 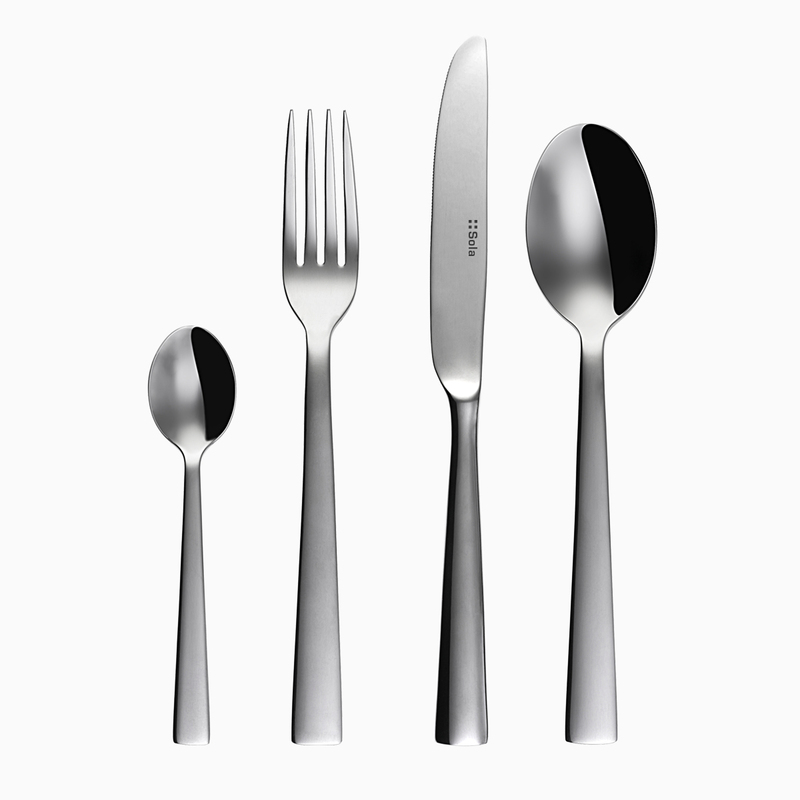 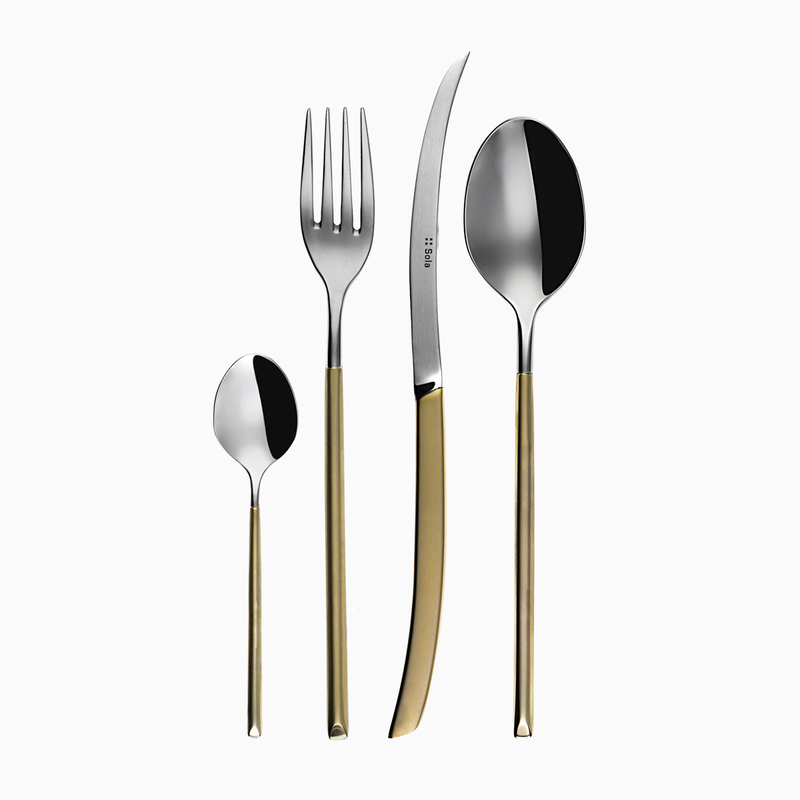 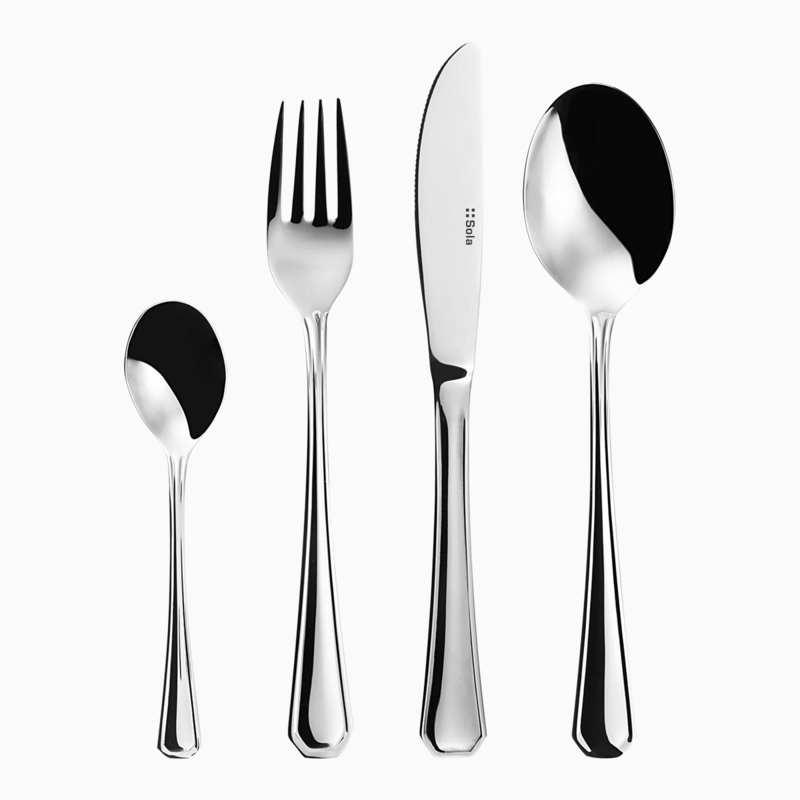 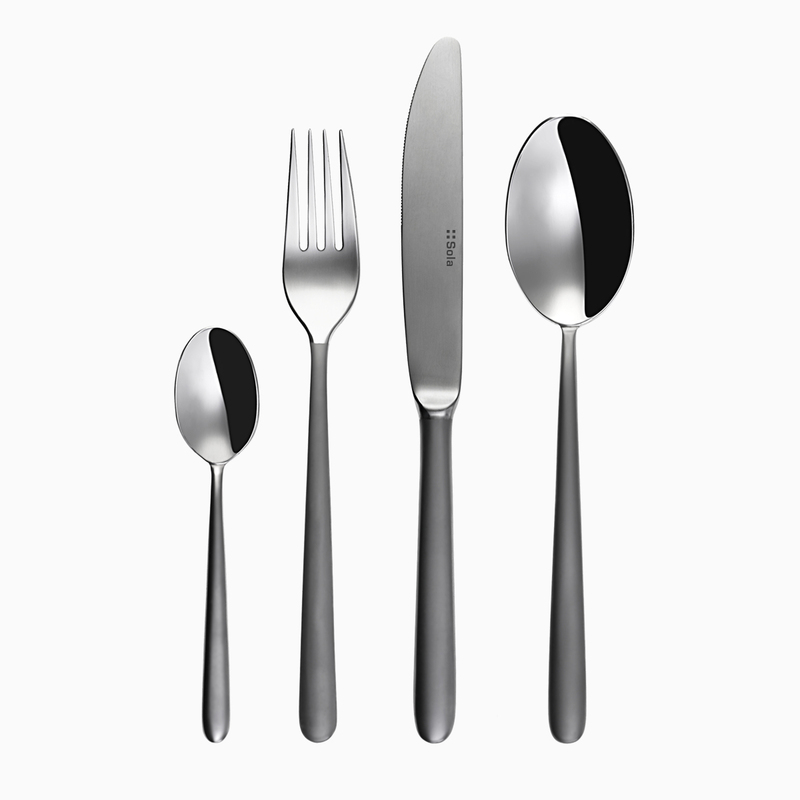 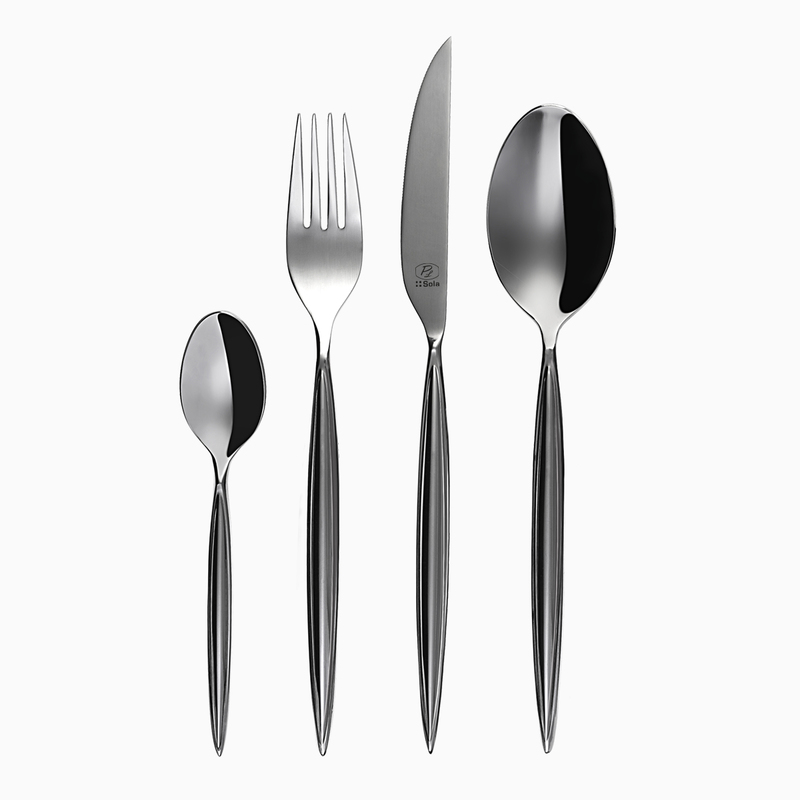 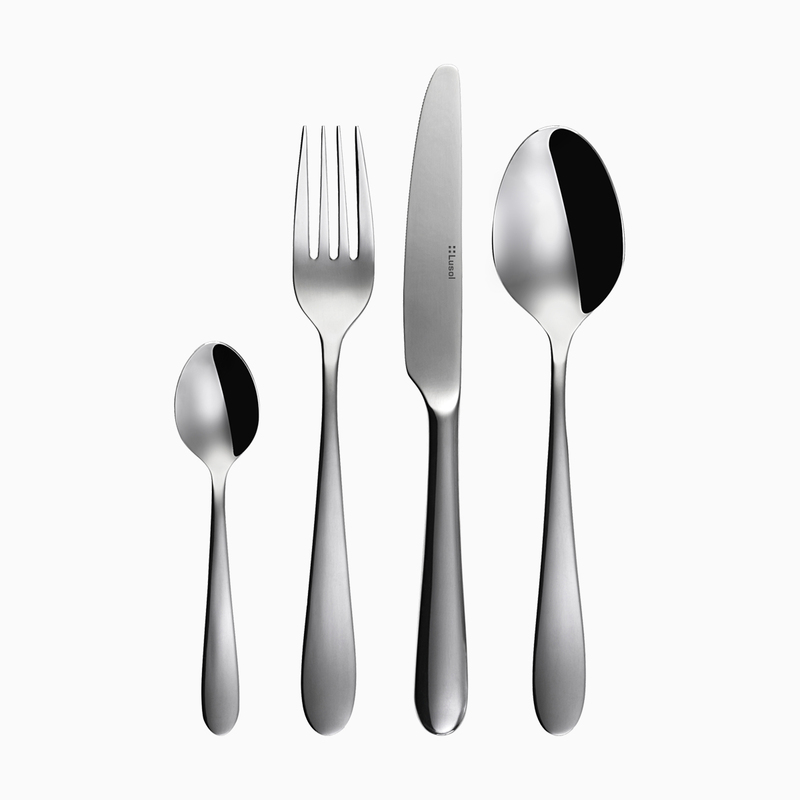 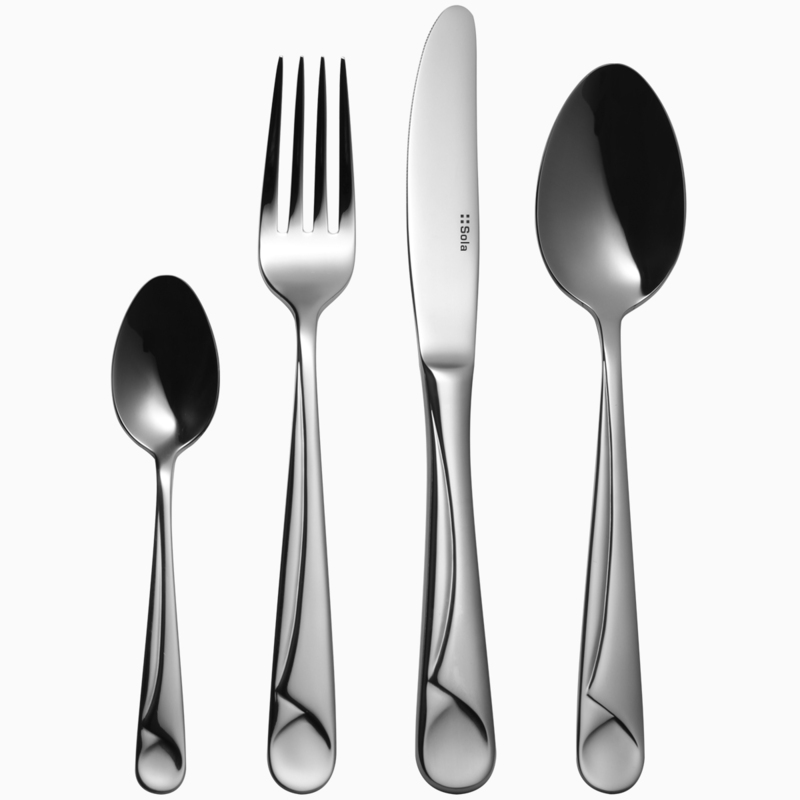 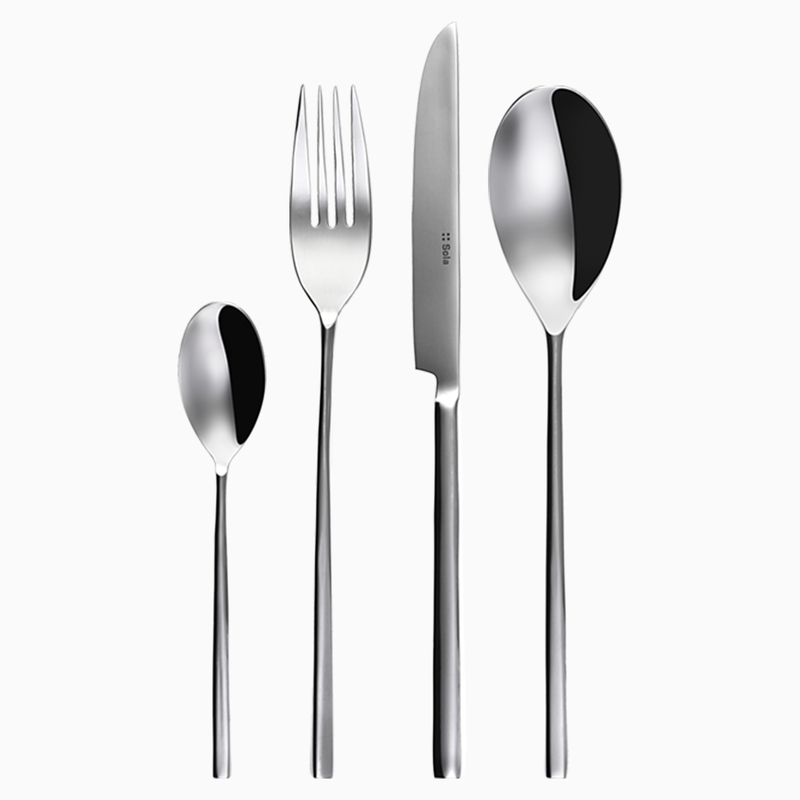 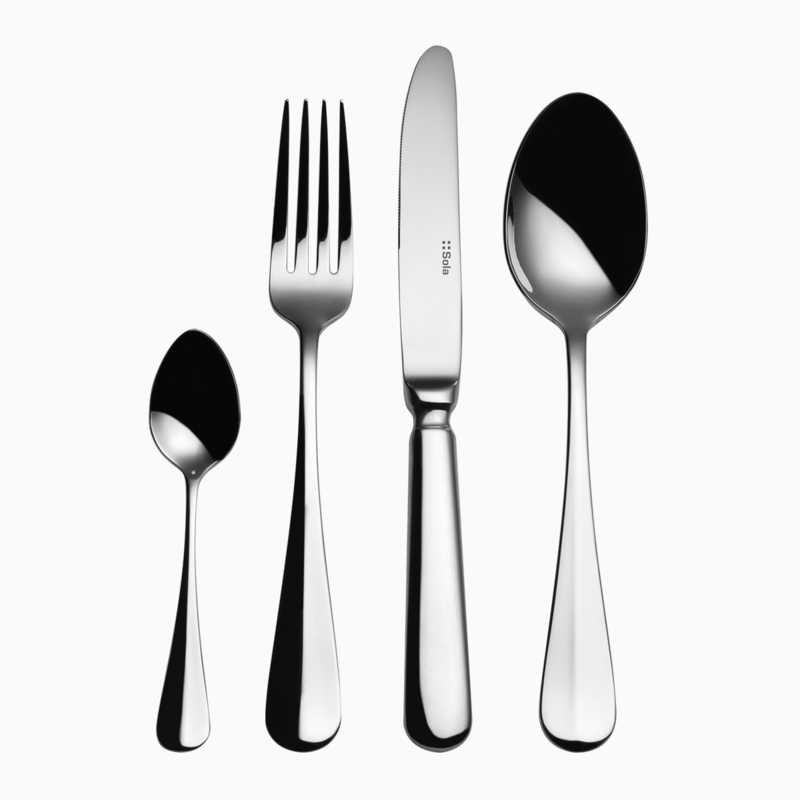 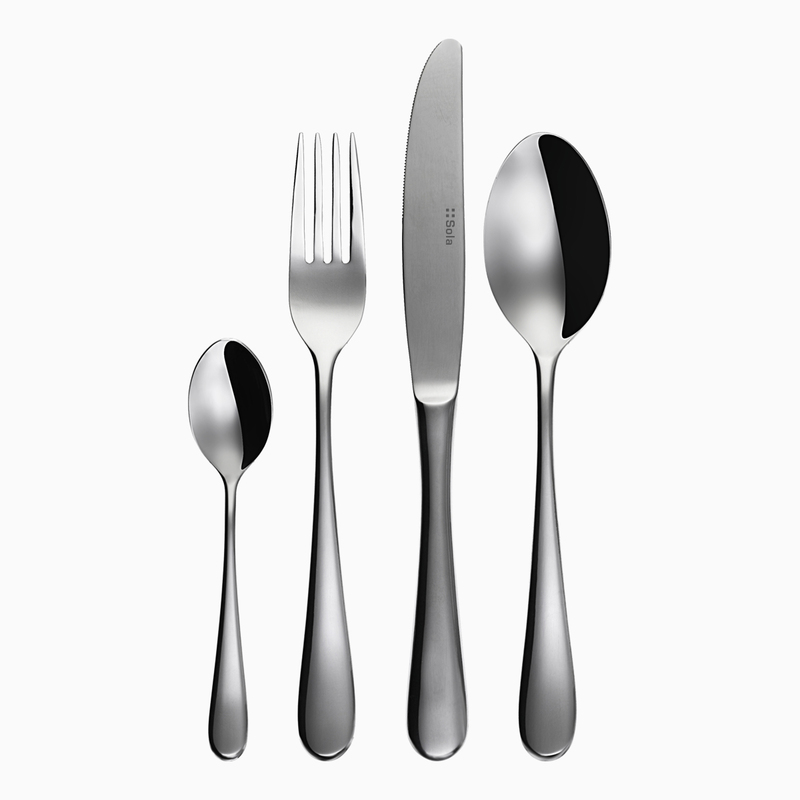 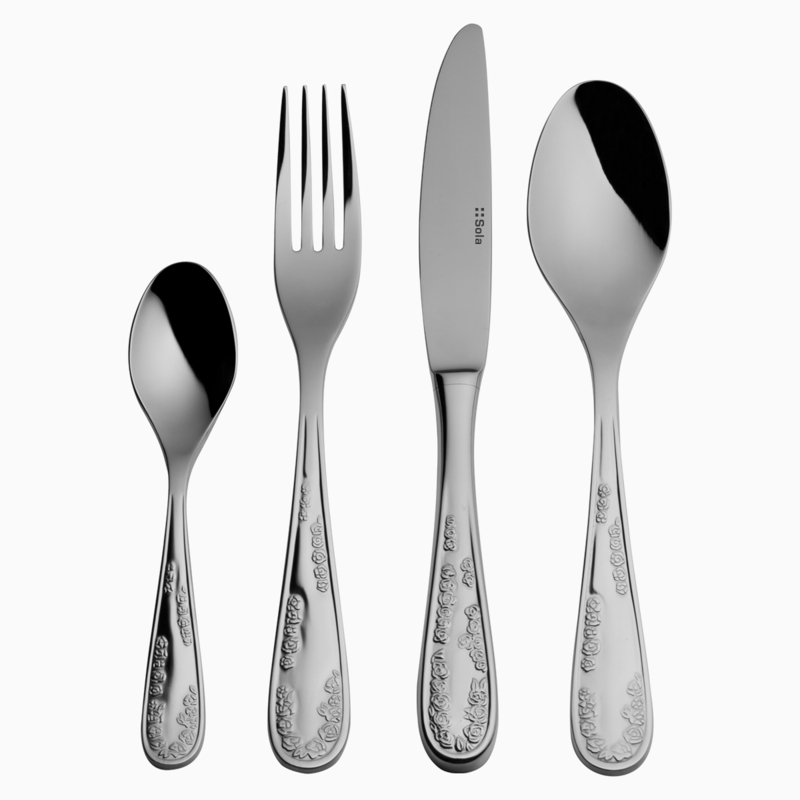 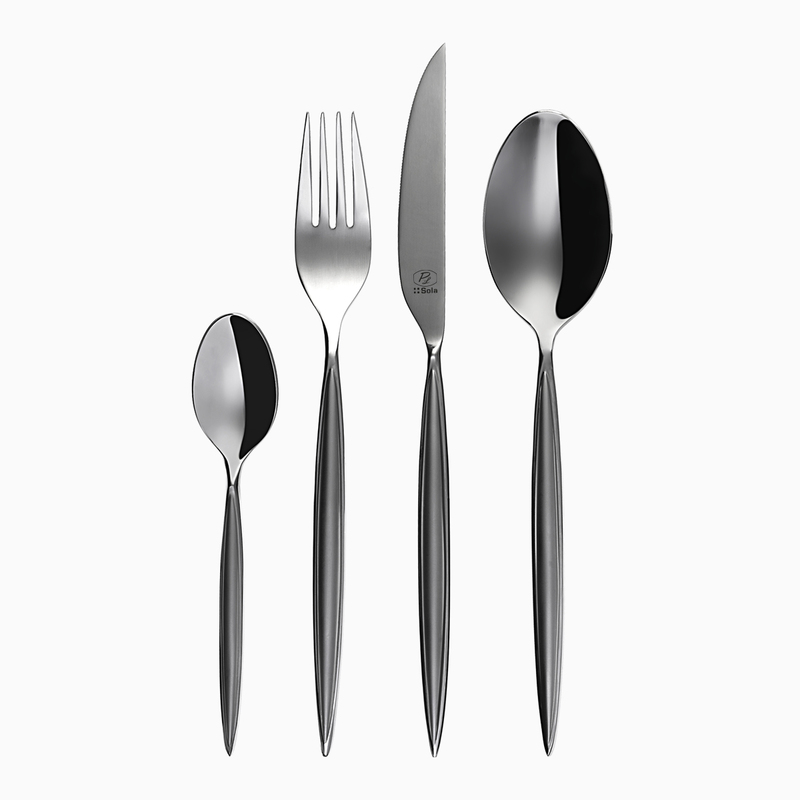 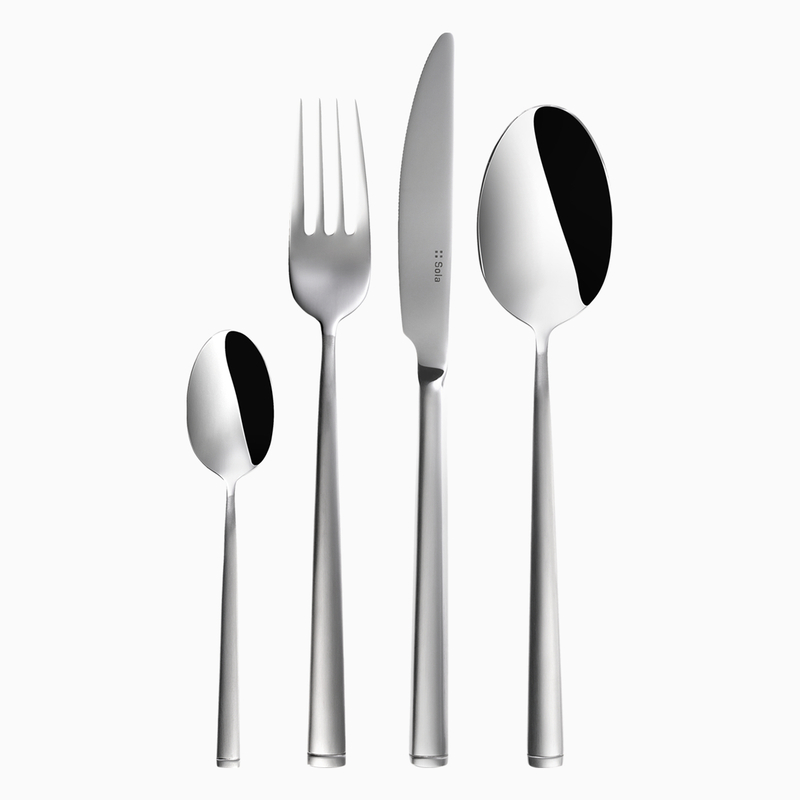 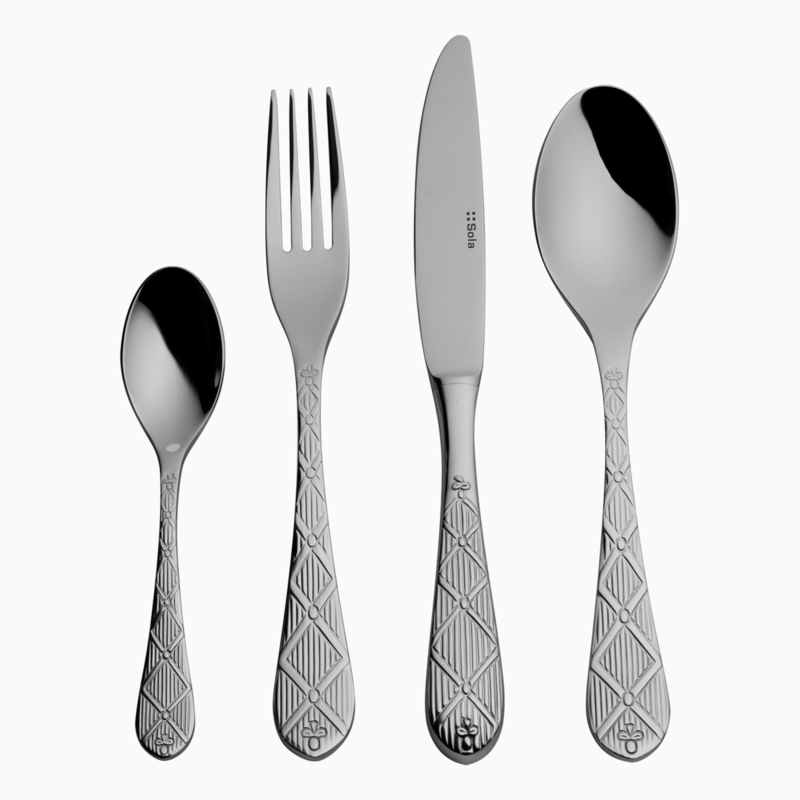 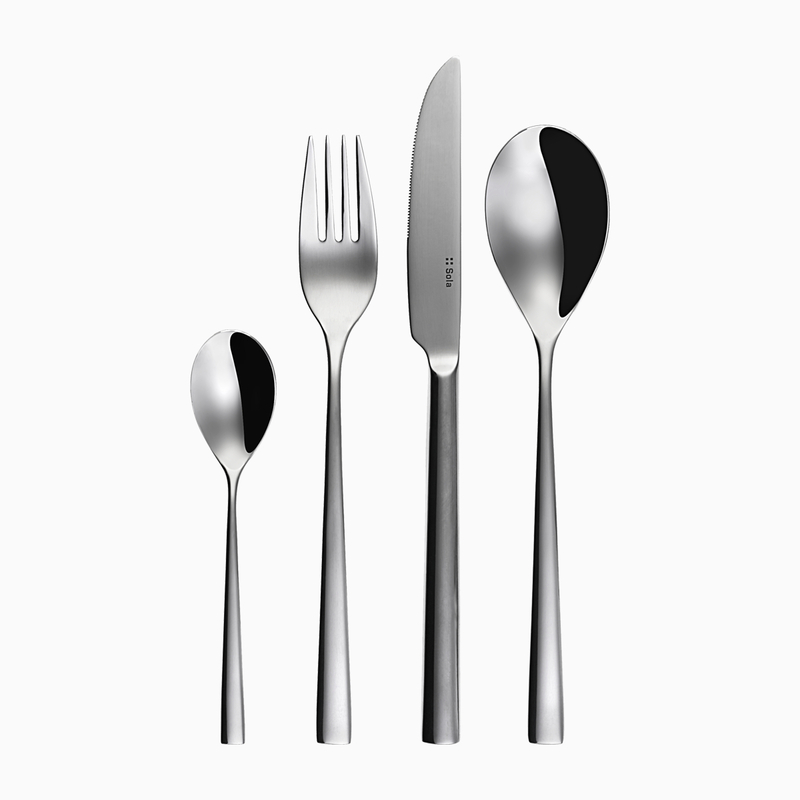 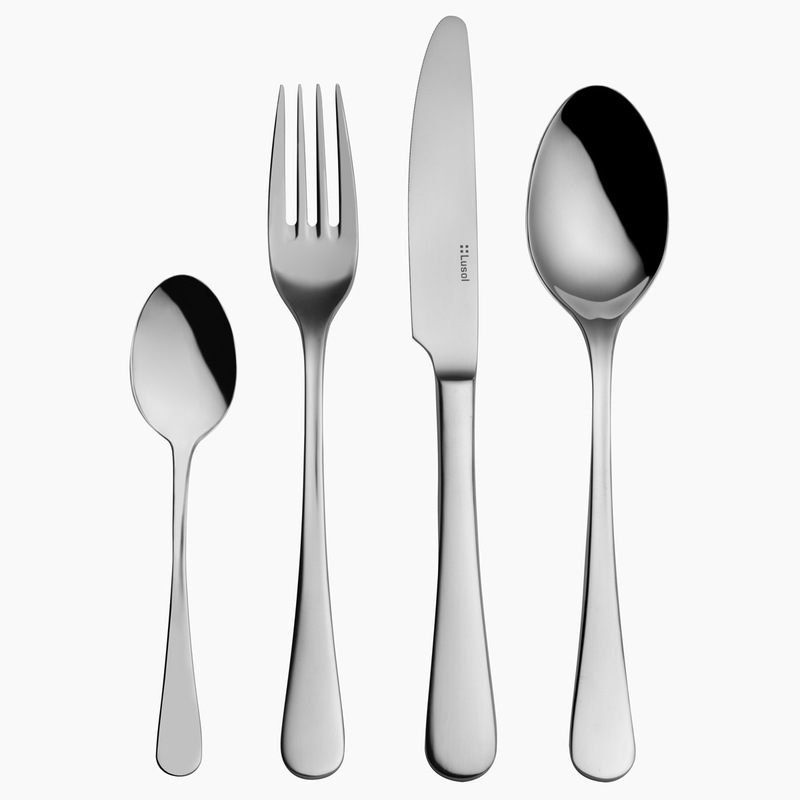 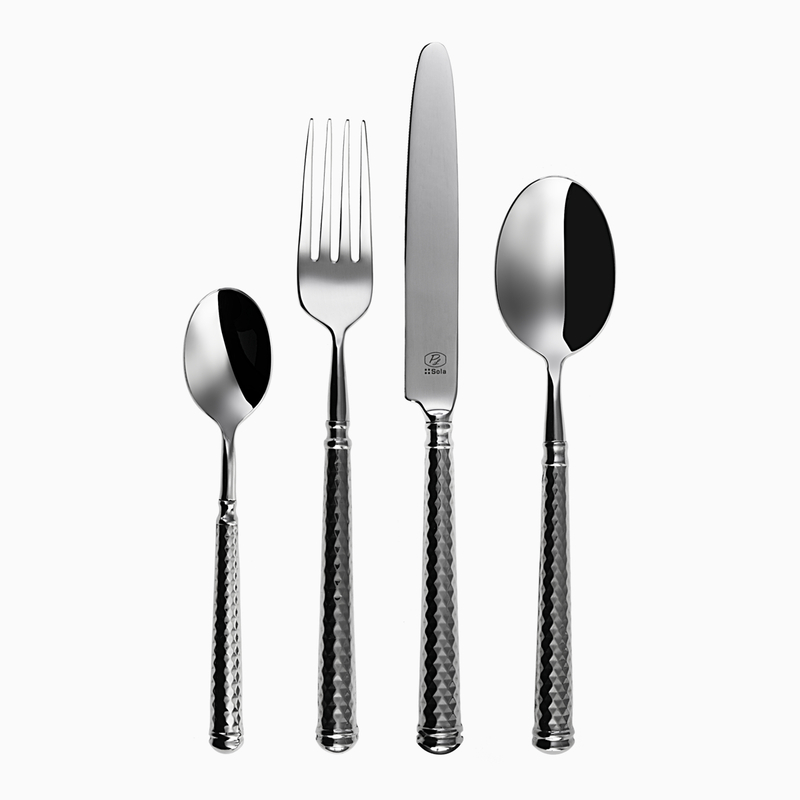 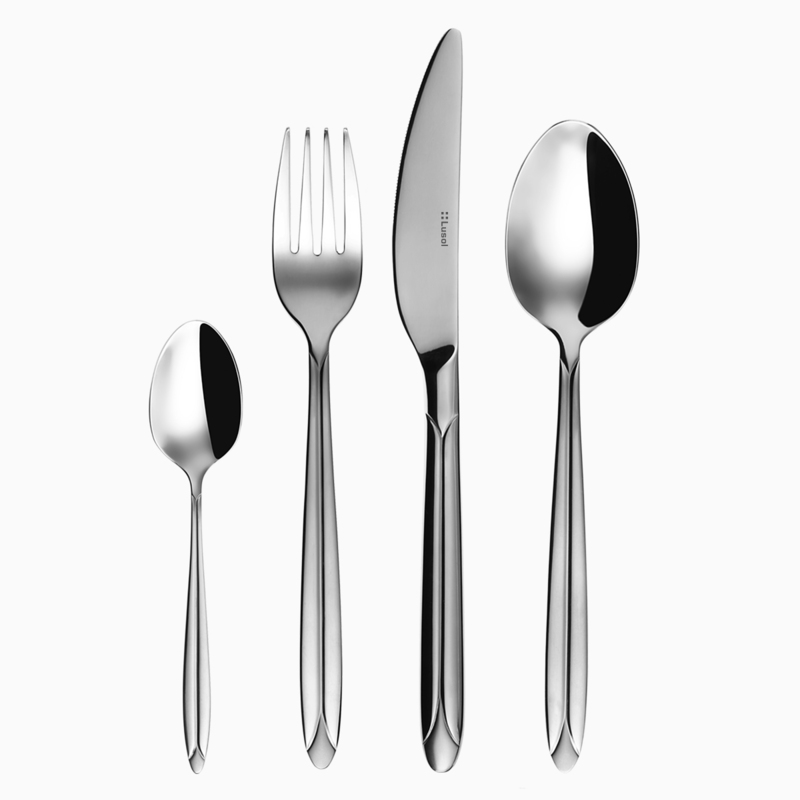 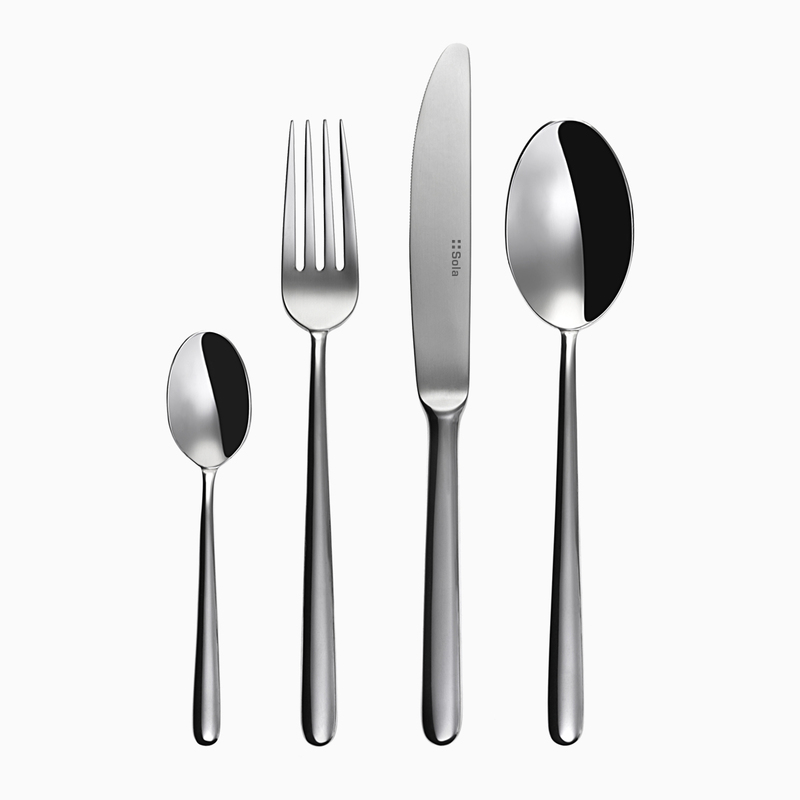 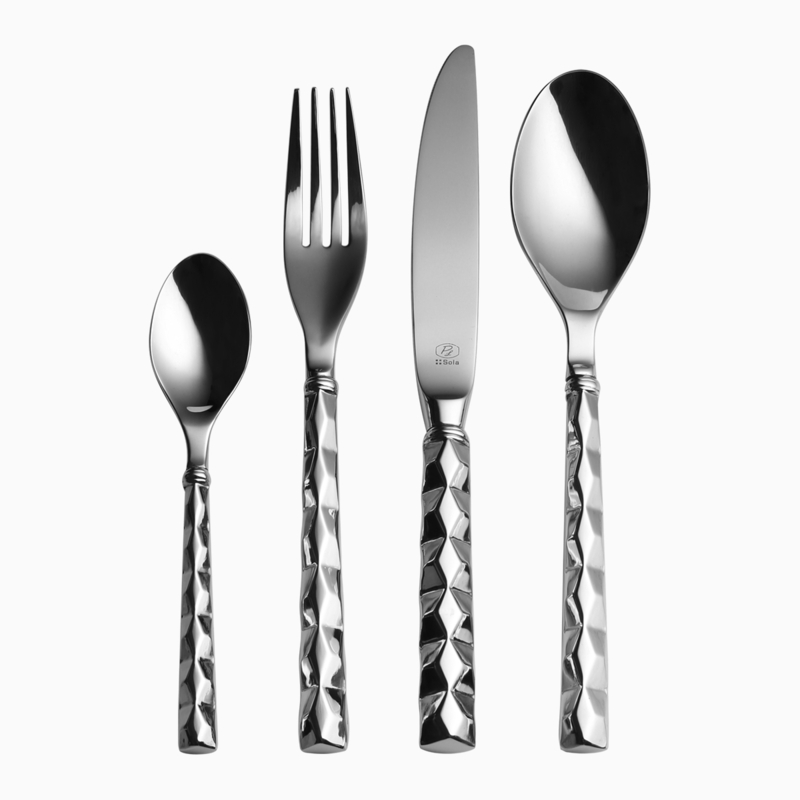 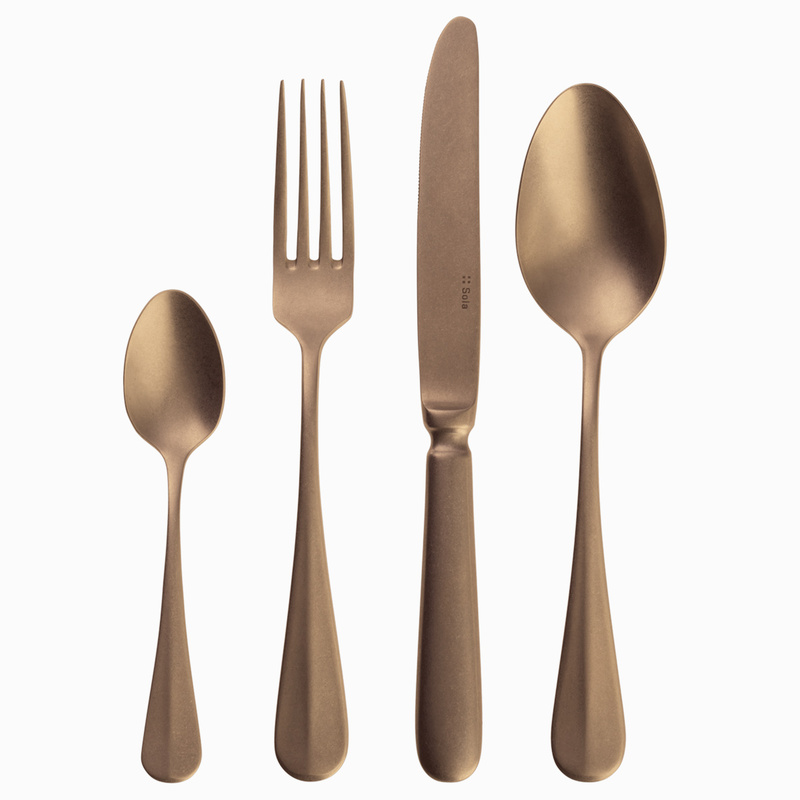 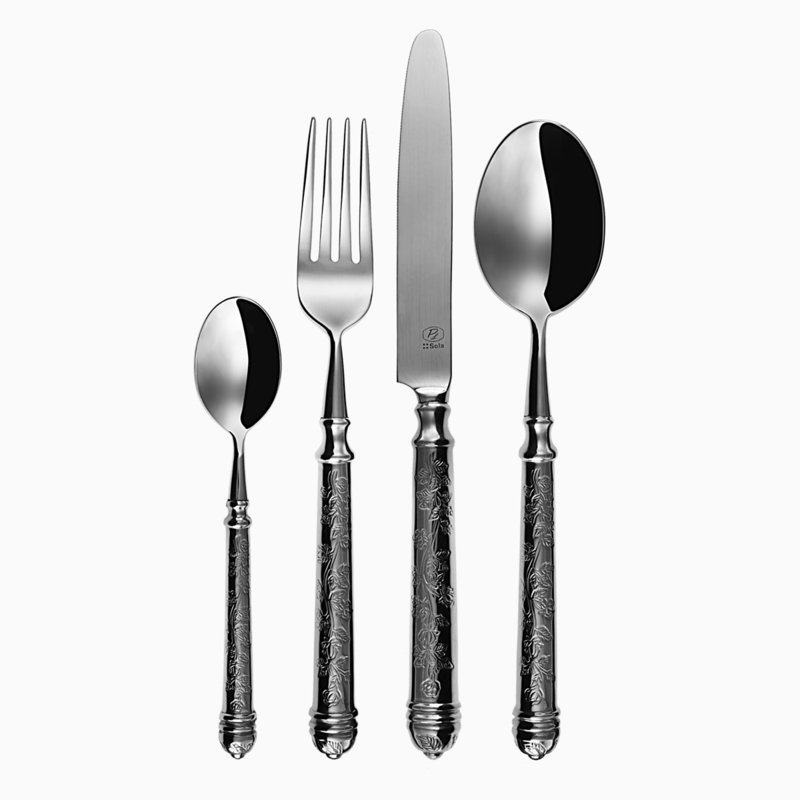 Sola Switzerland AG has its roots as a creator and a manufacturer of the finest cutlery since 1866. 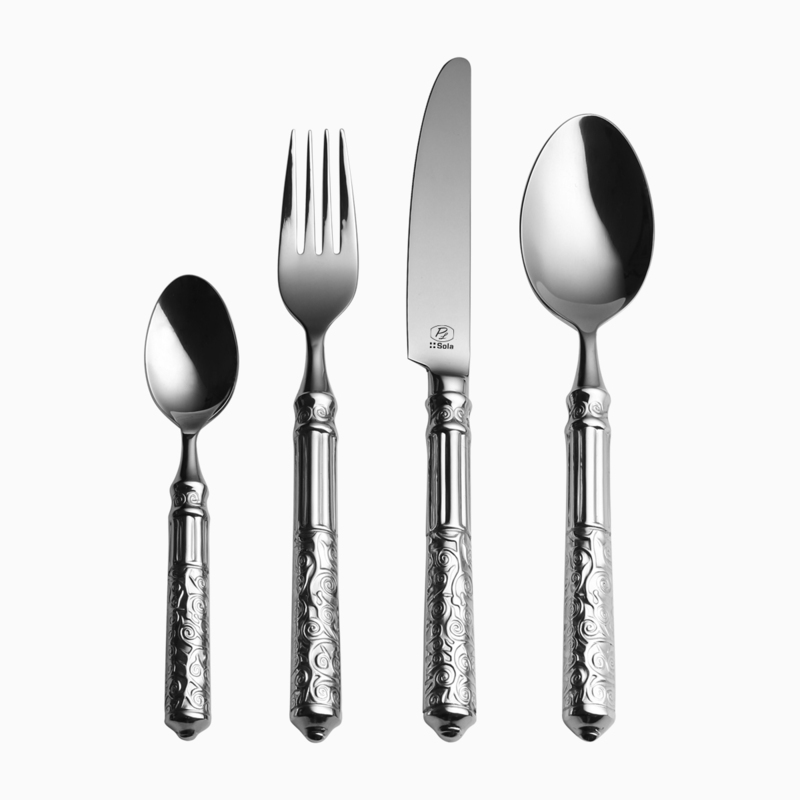 For five generations, the cutlery has been created by the purest Swiss touch and knowledge and remains until today fully in line with the quality, professionalism, and service spirit of the founders of the company. 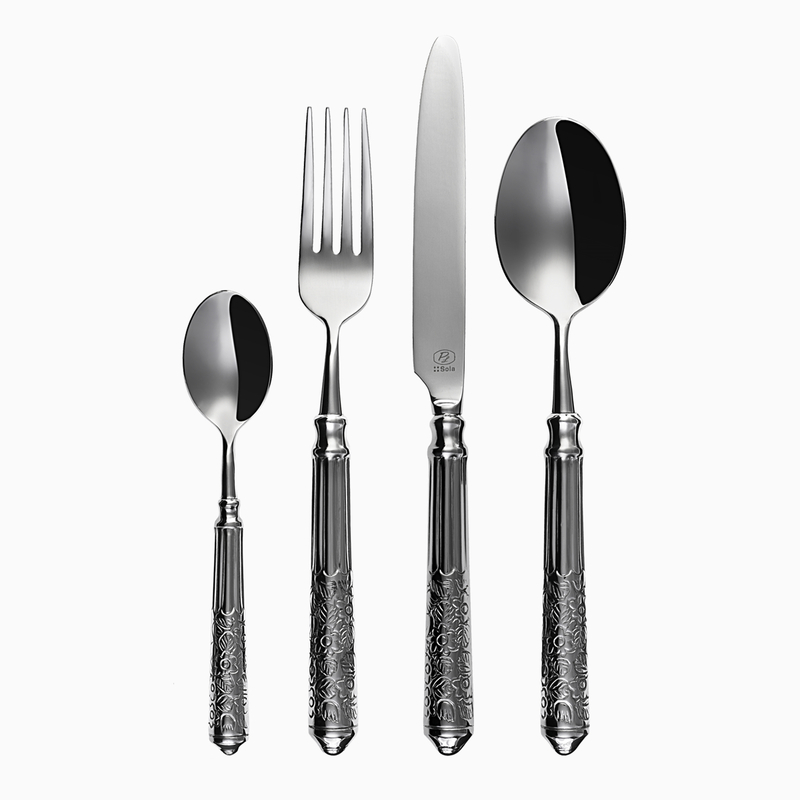 From a local factory in Central Europe, our company became within 150 years a referent Swiss manufacturer of cutleries and table serving tools on the world market. 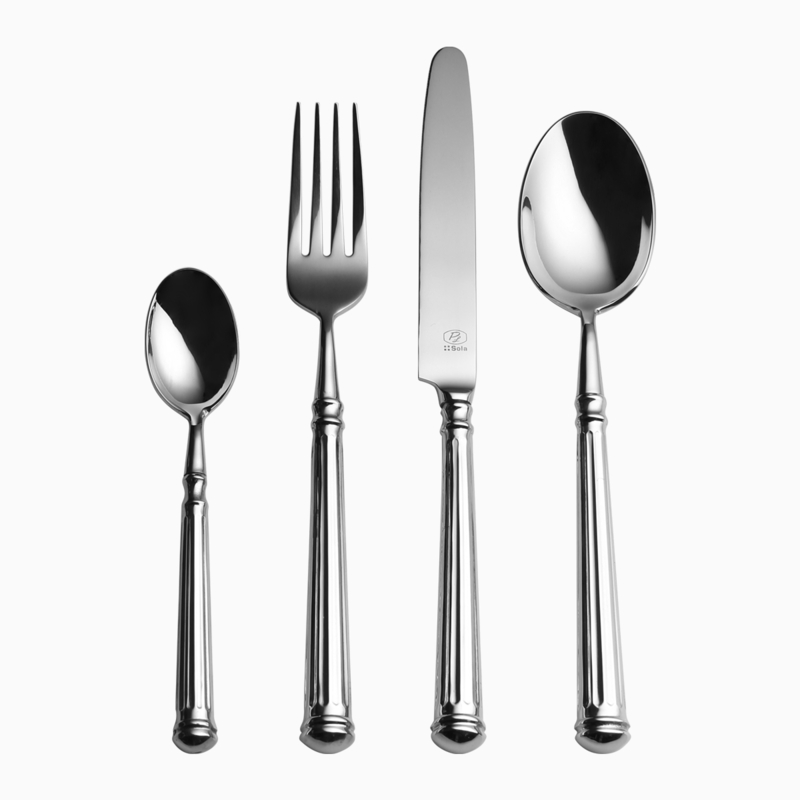 JM Style is one of Australia’s go-to suppliers of quality wholesale cutlery and glassware. 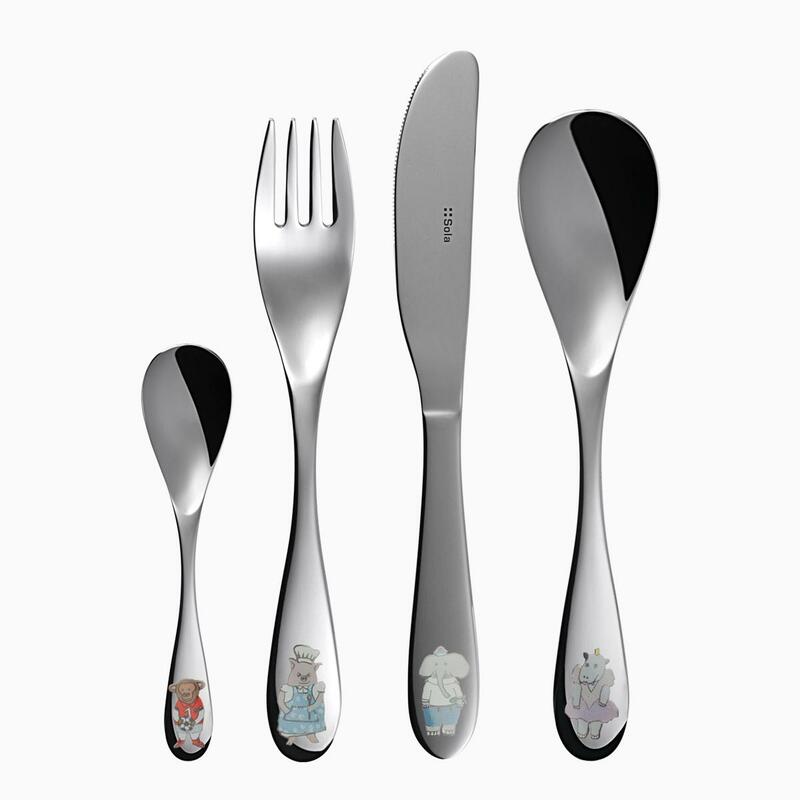 With over 25 years of experience in providing businesses with beautiful and reliable products, as well as branded merchandise, you can be sure that when you choose JM Style to supply your company’s cutlery you’re choosing a trustworthy company who import products from the world’s most respected manufacturers. 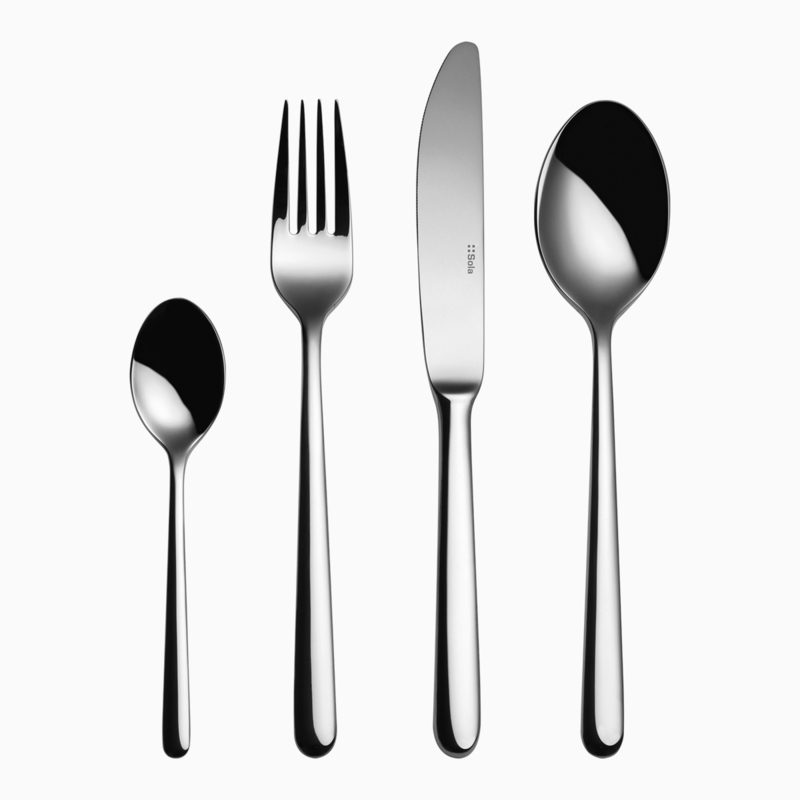 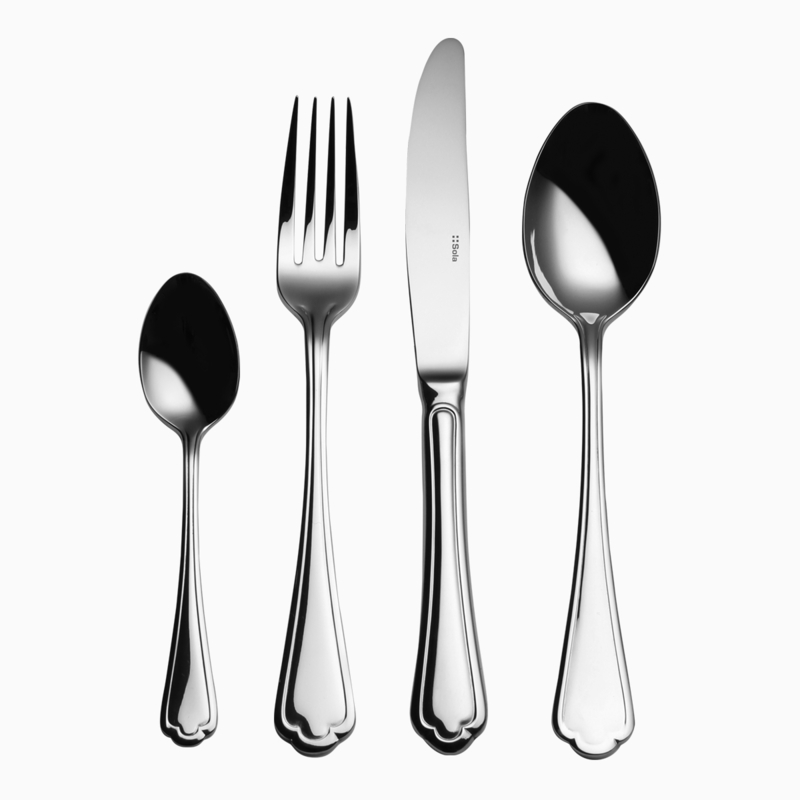 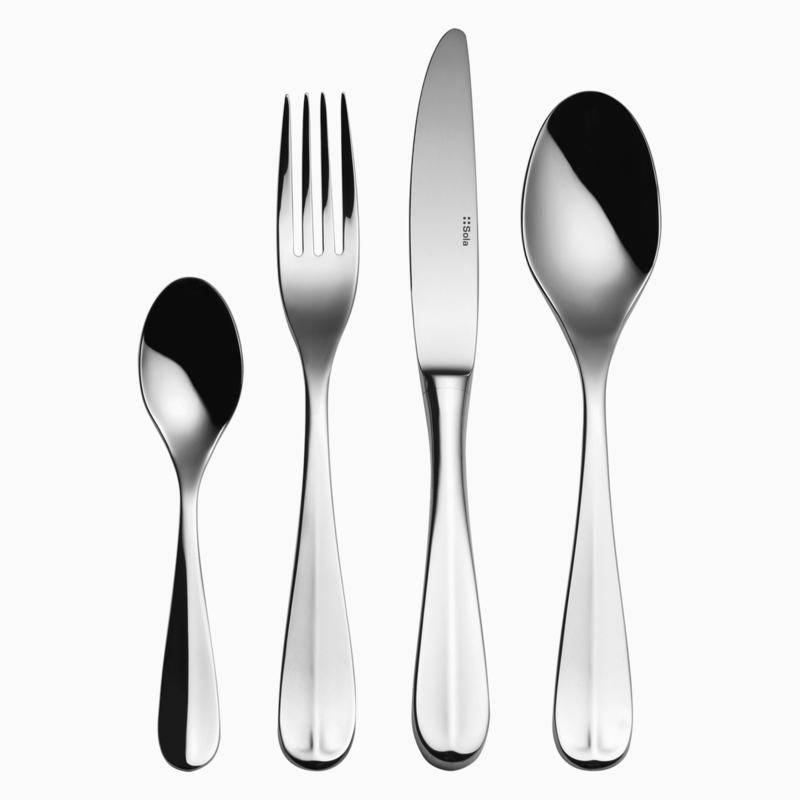 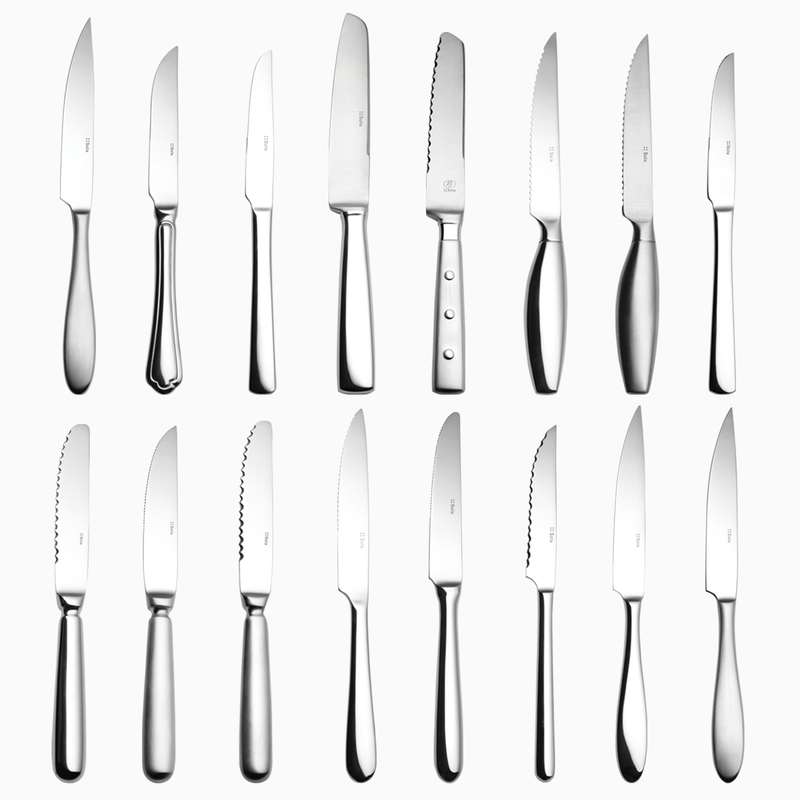 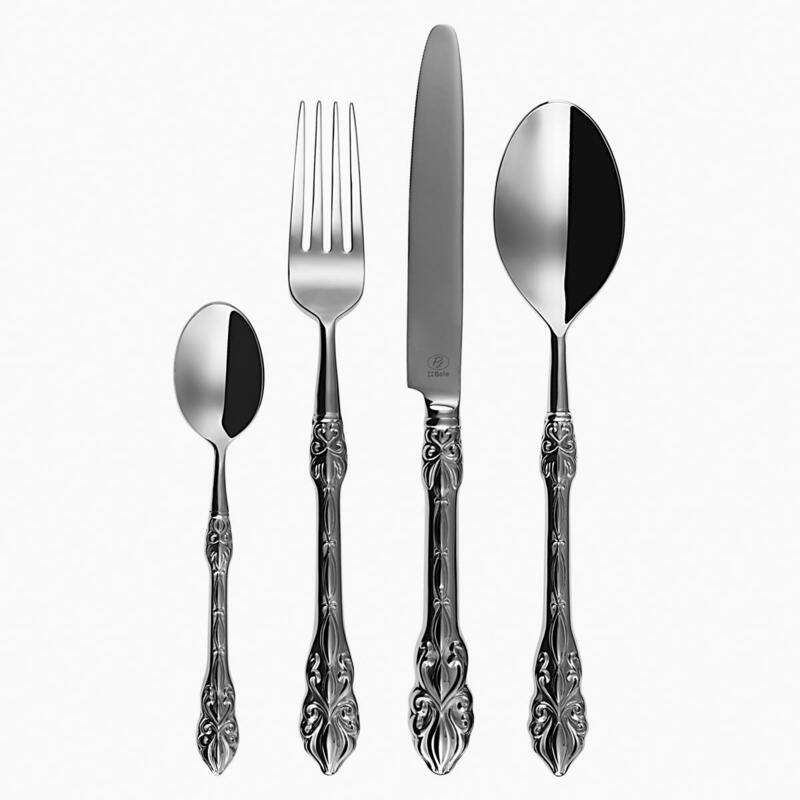 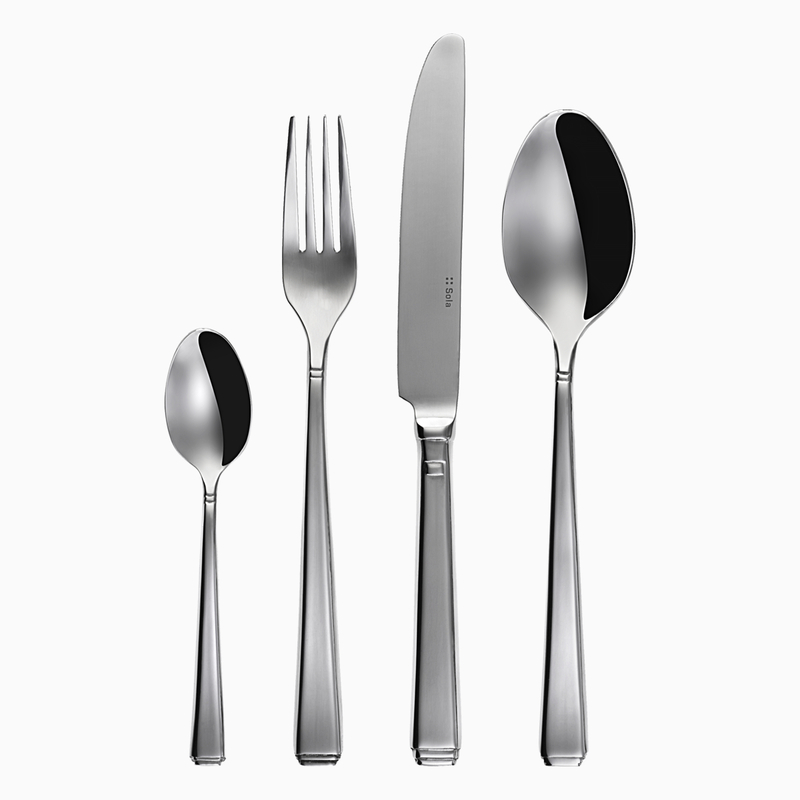 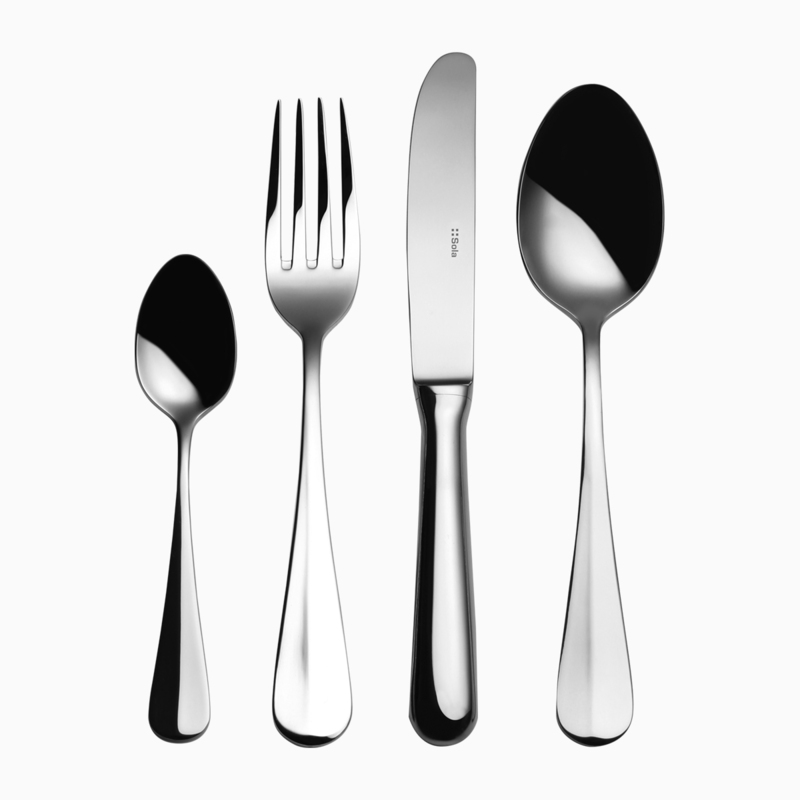 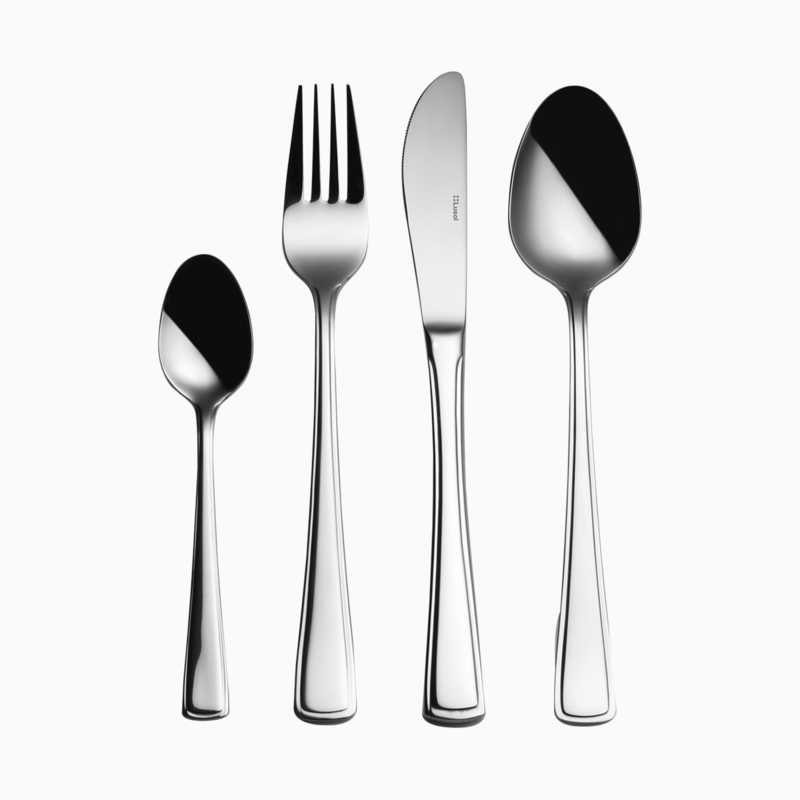 If you would like assistance on selecting the right set of cutlery to buy for your business, feel free to get in touch with the team at JM Style, we pride ourselves on providing an exceptional consulting service in order to help our clients find the right cutlery and glassware for their business. 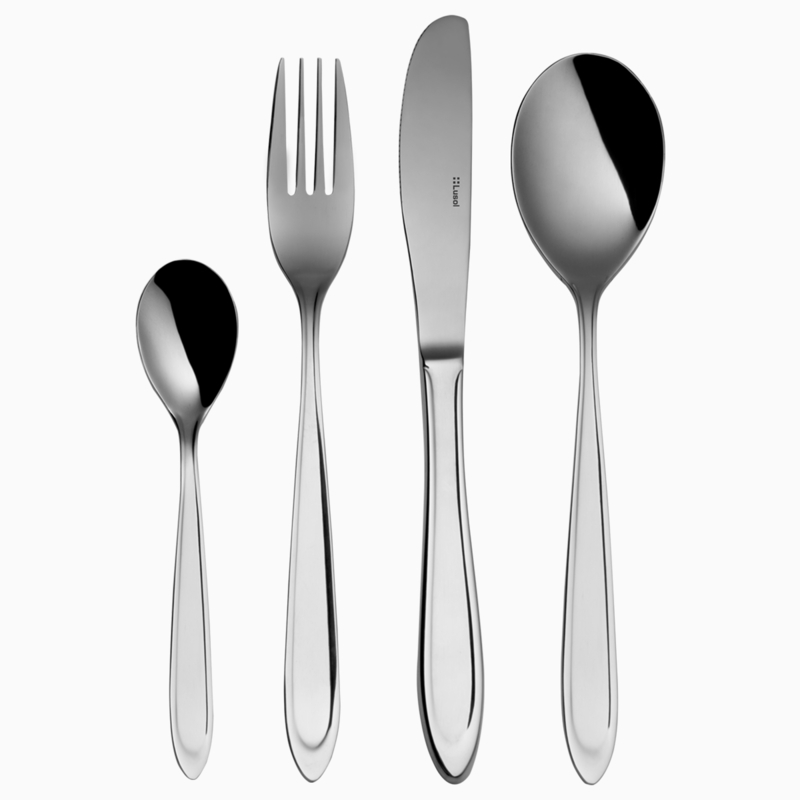 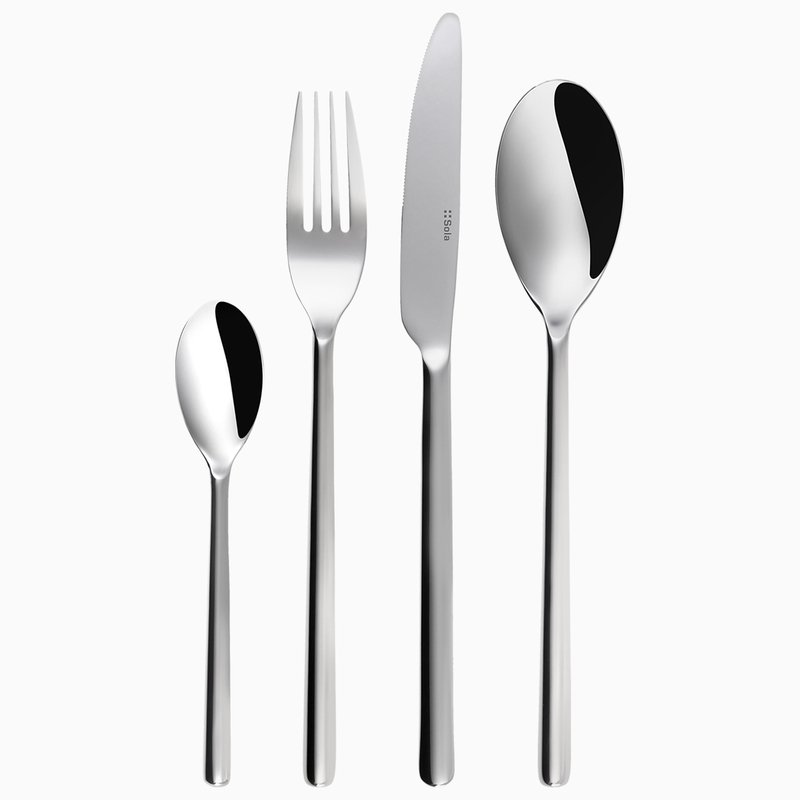 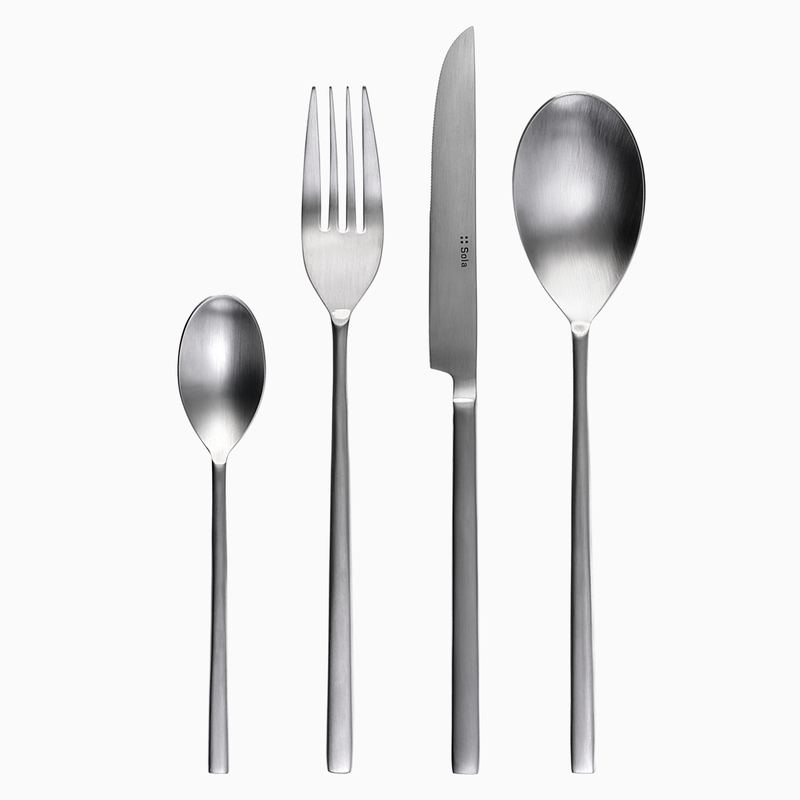 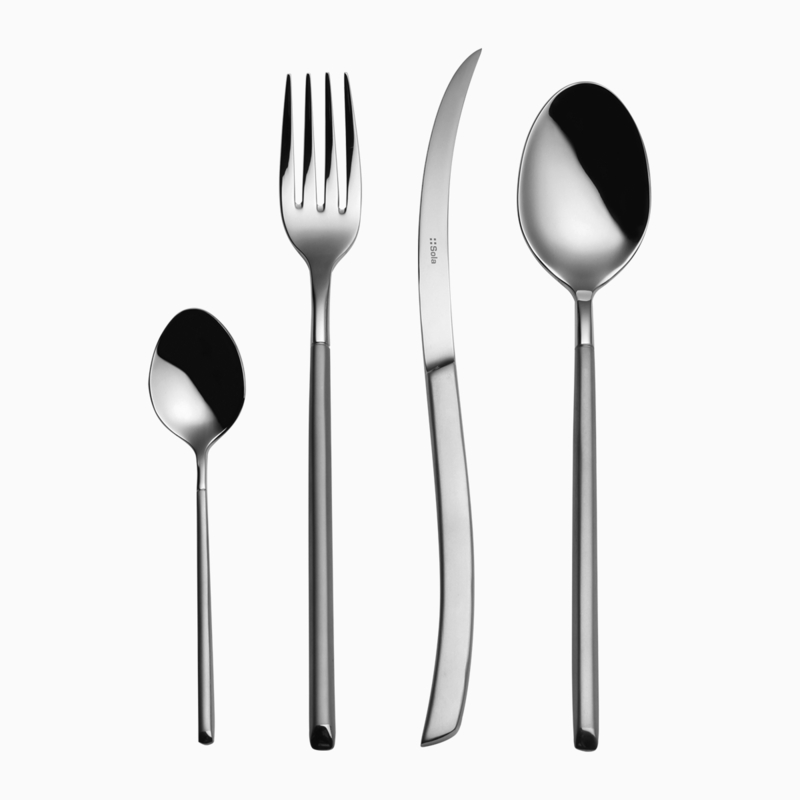 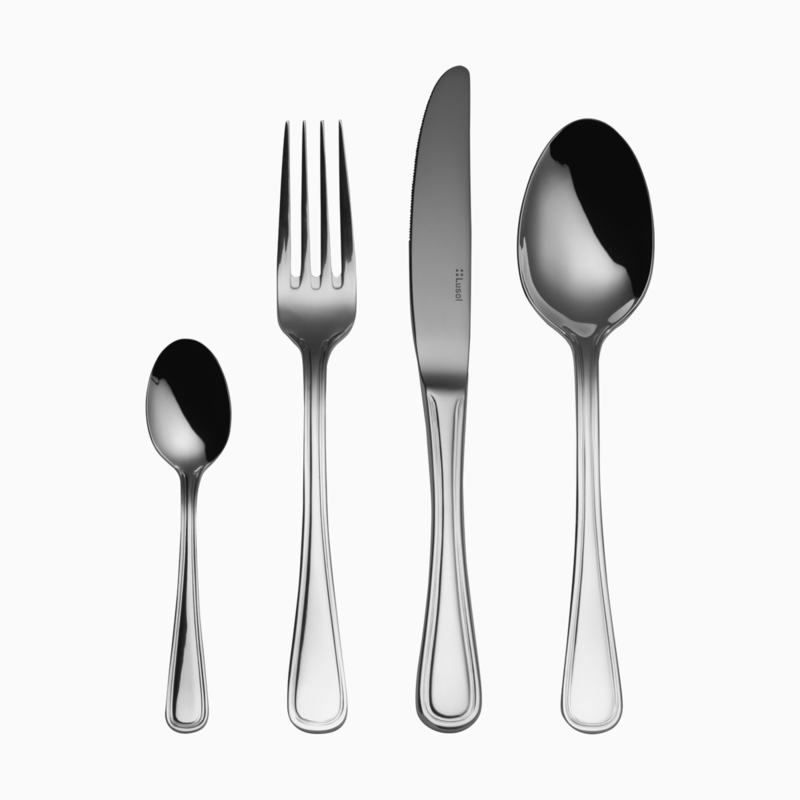 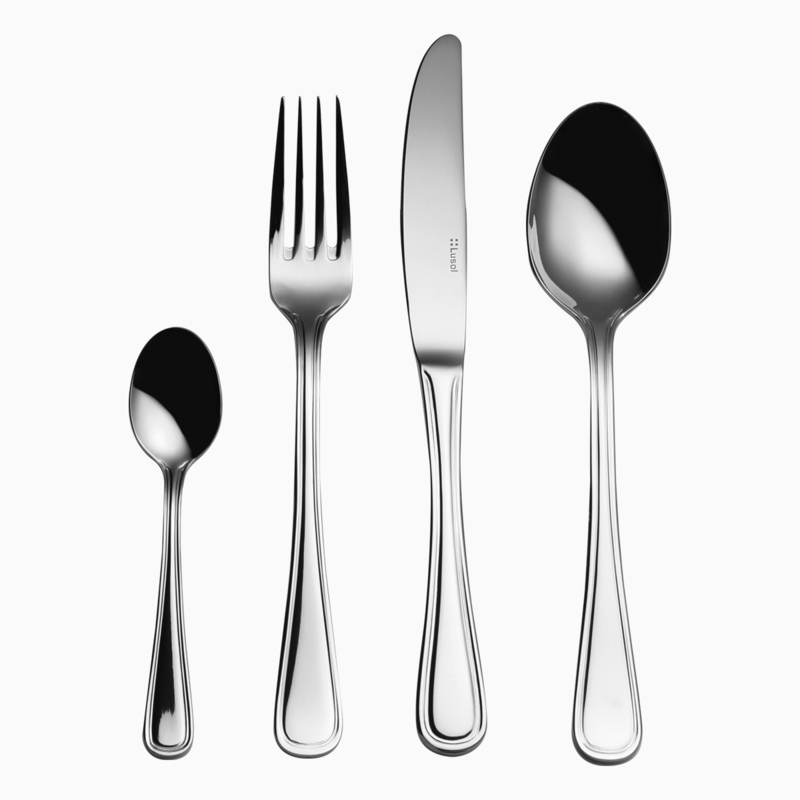 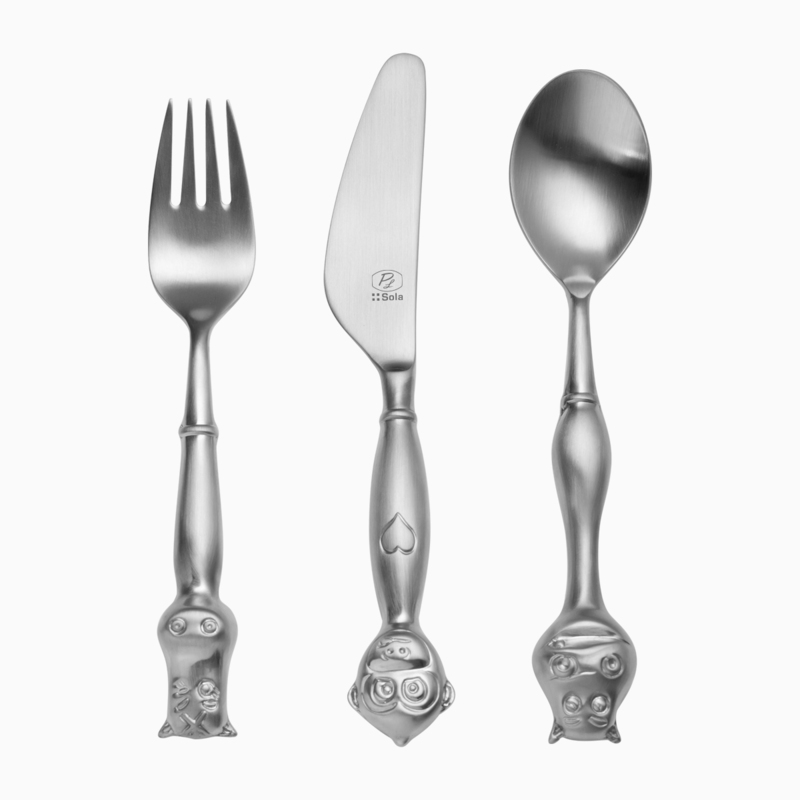 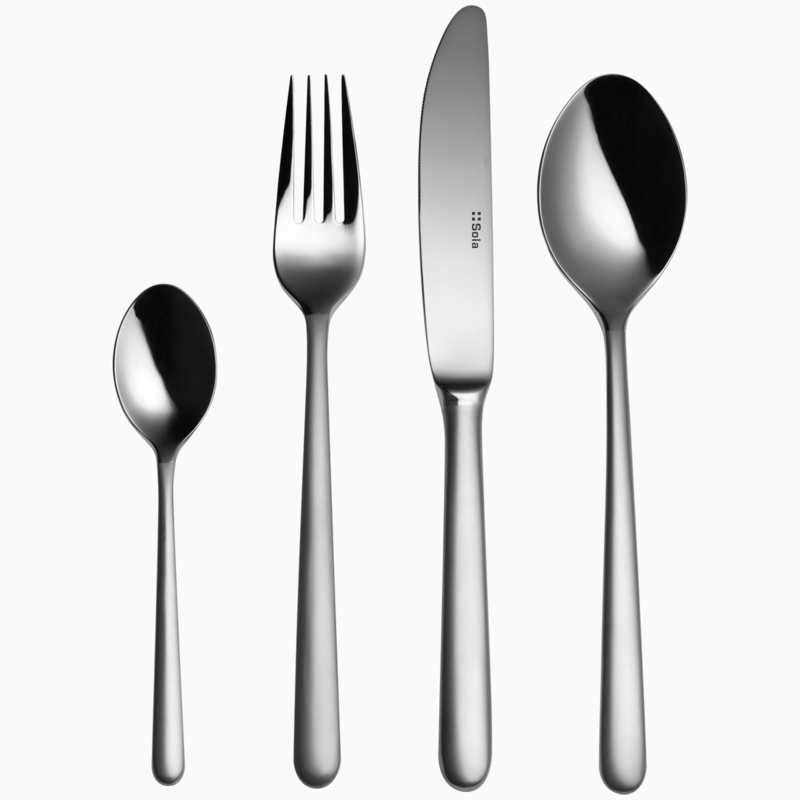 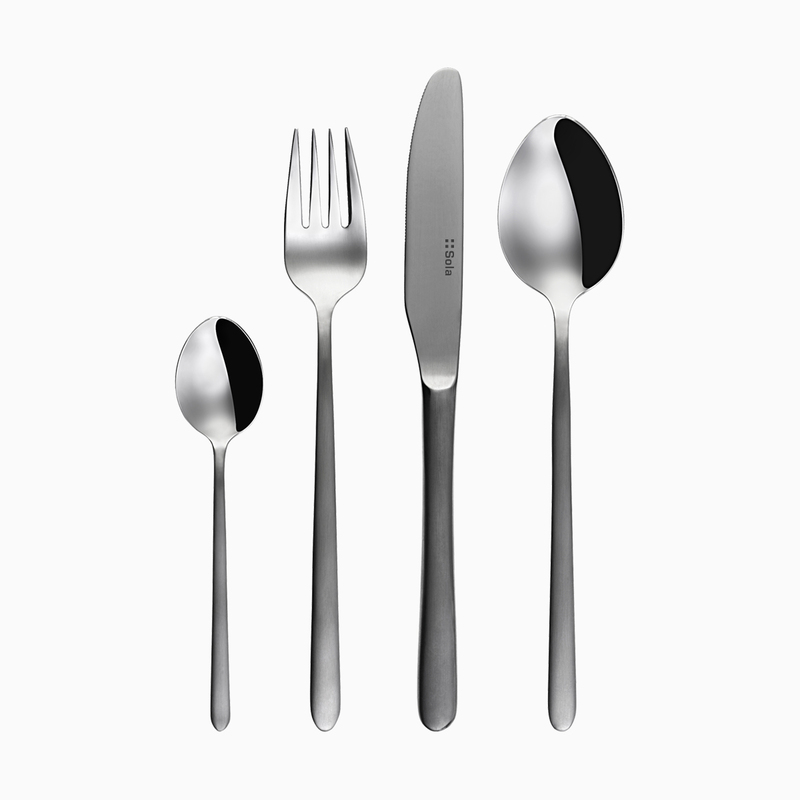 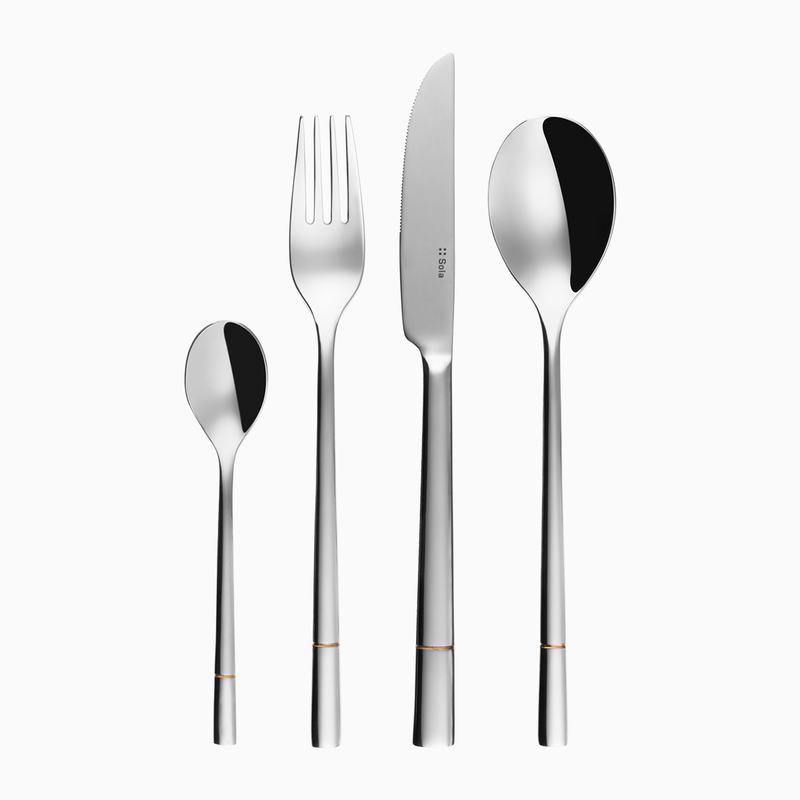 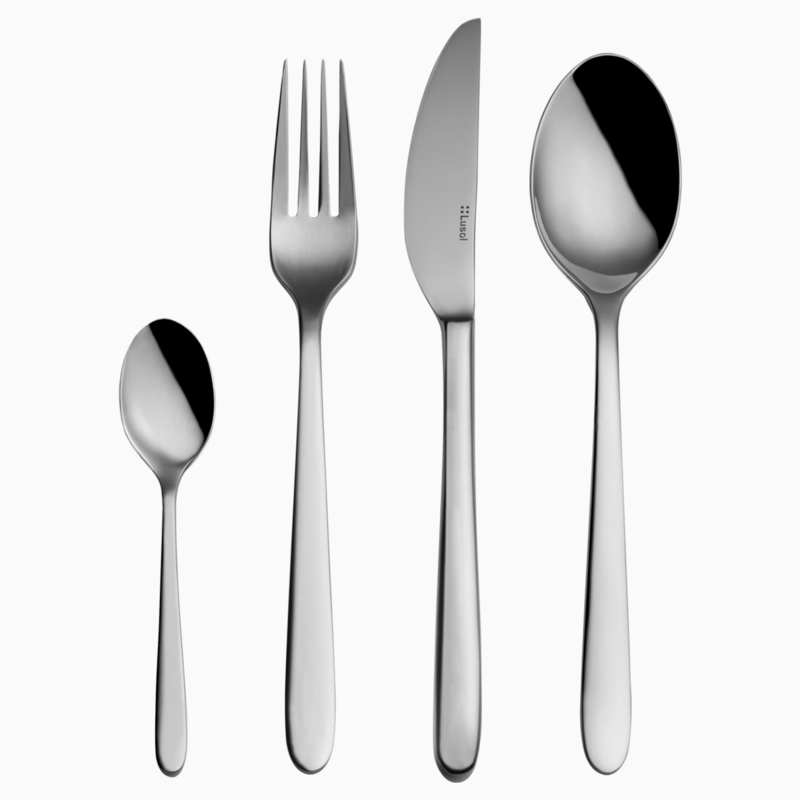 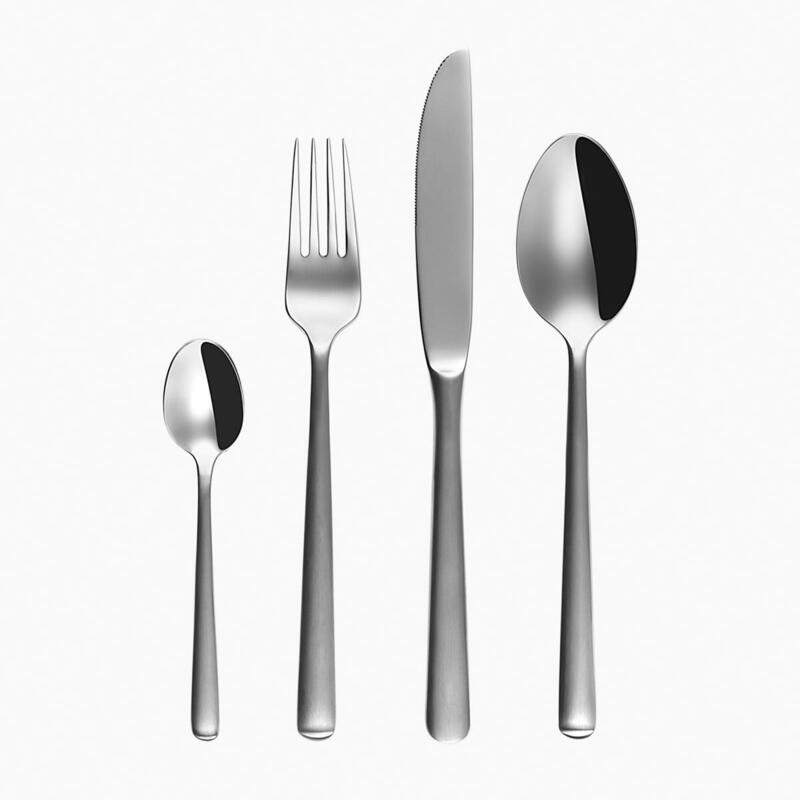 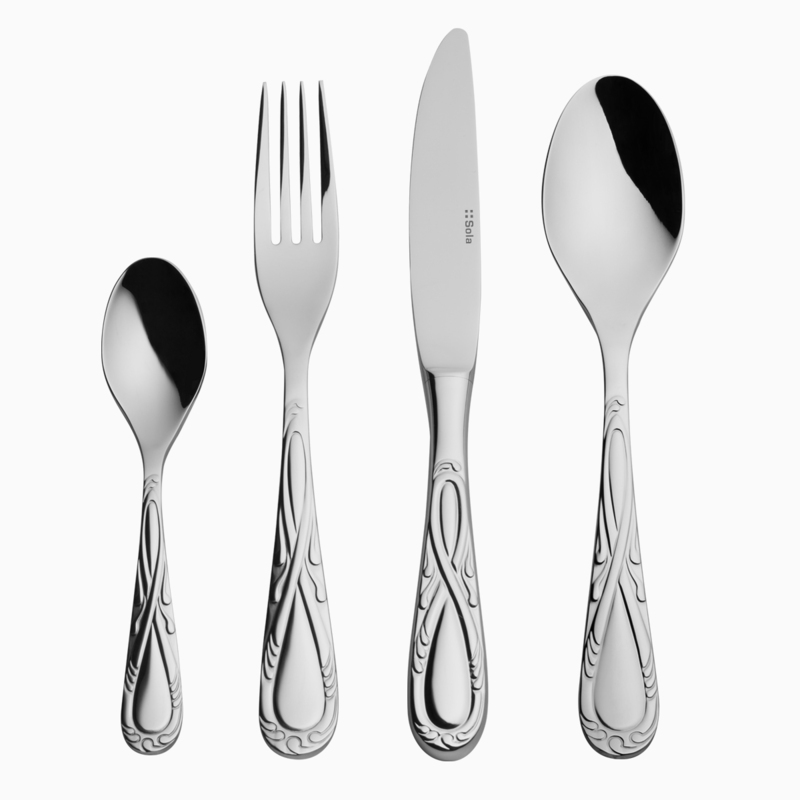 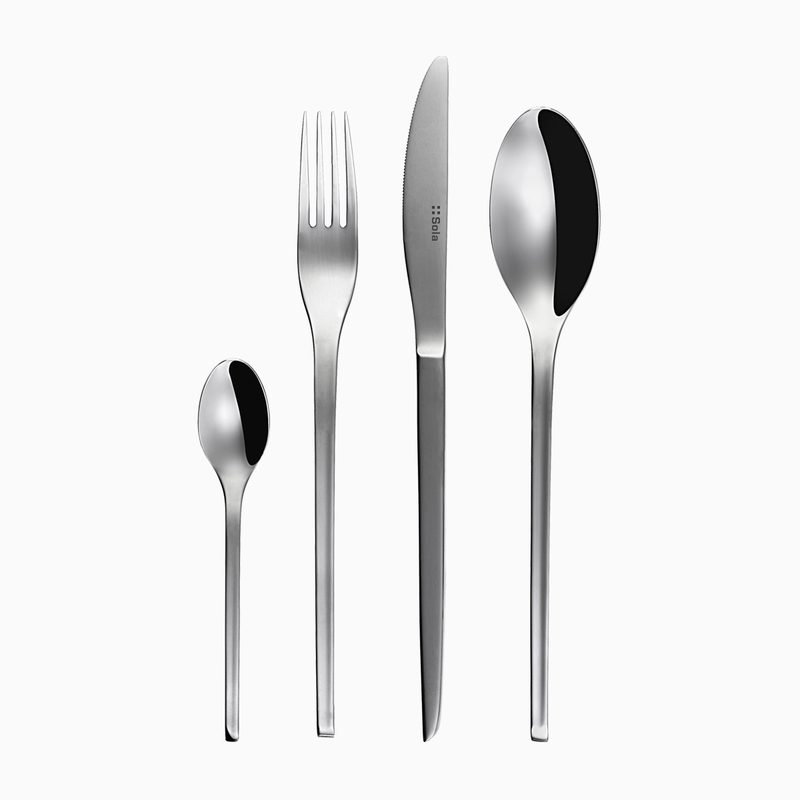 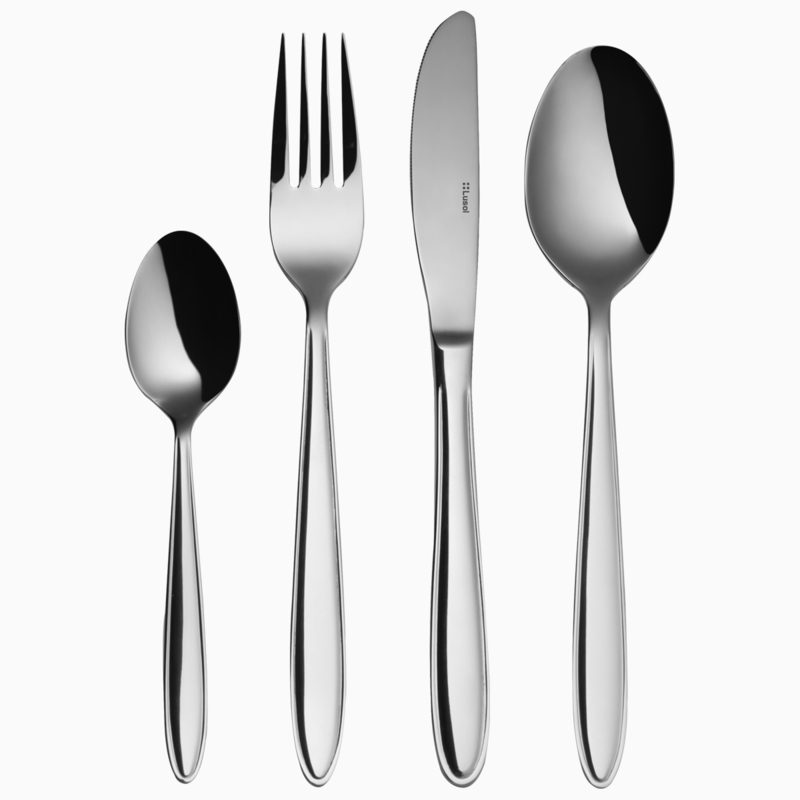 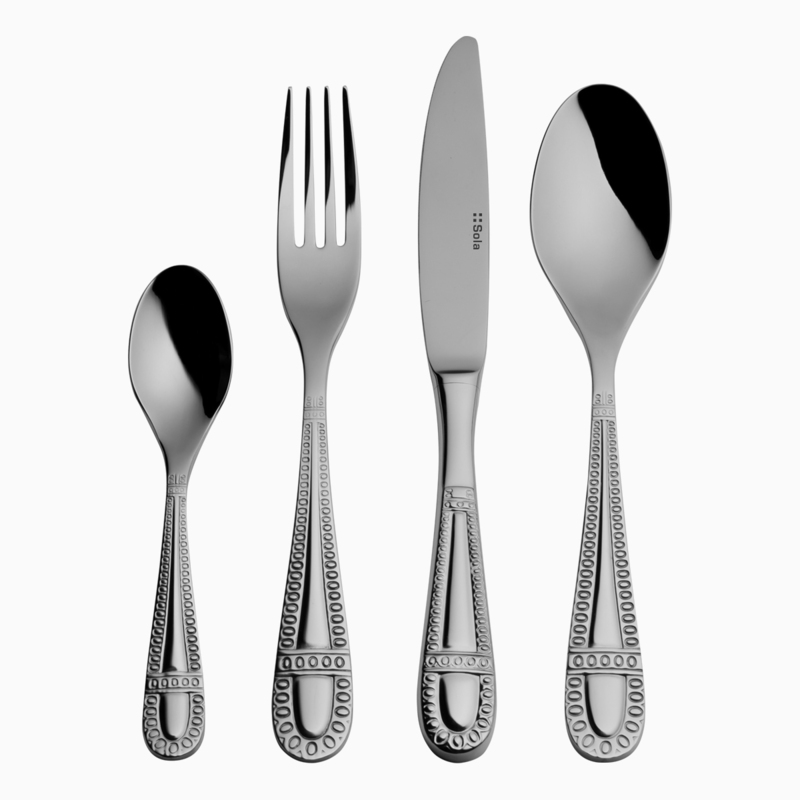 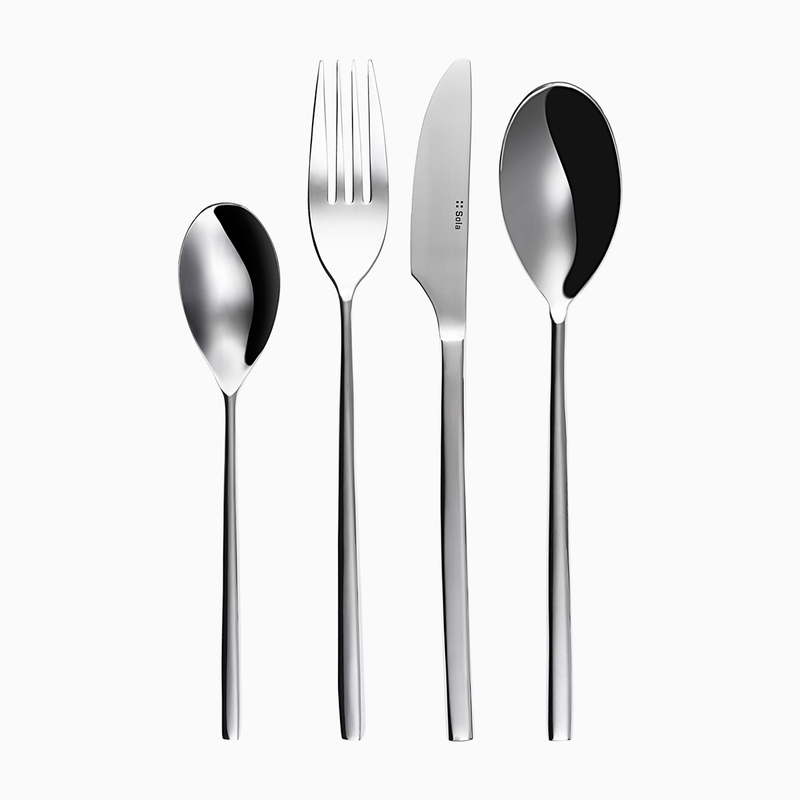 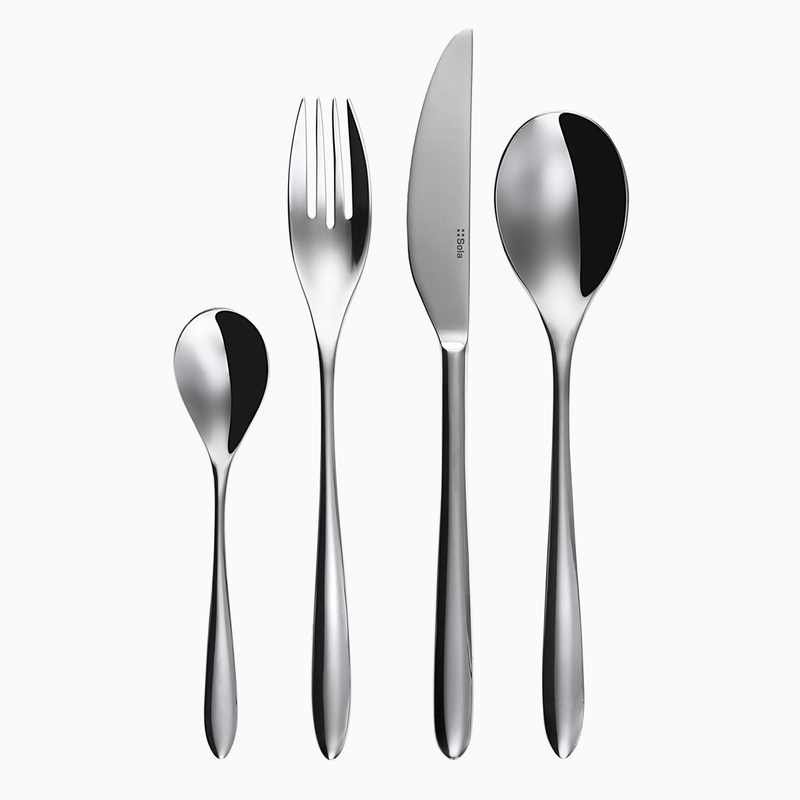 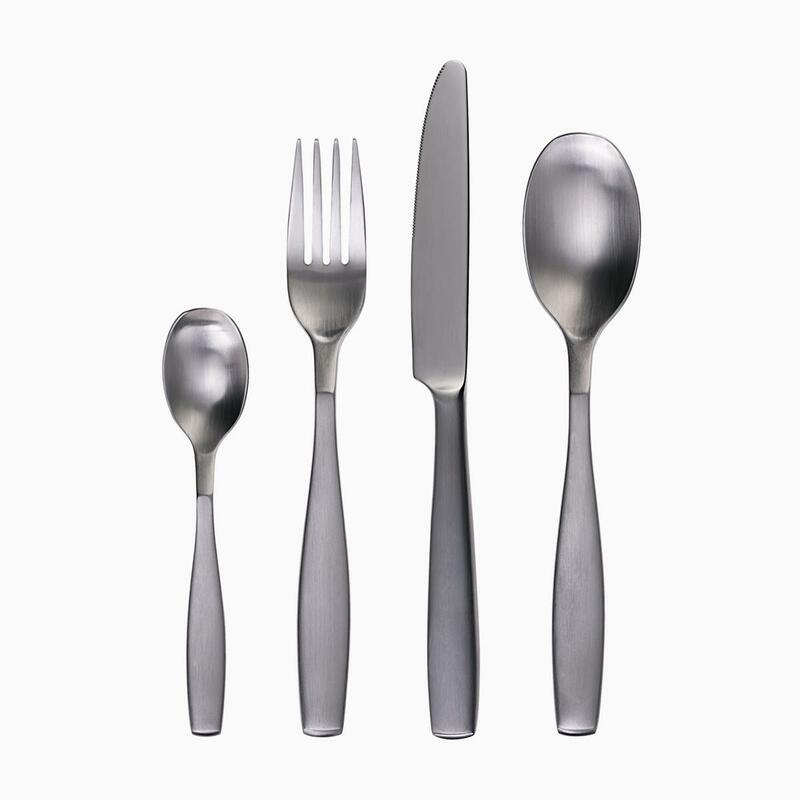 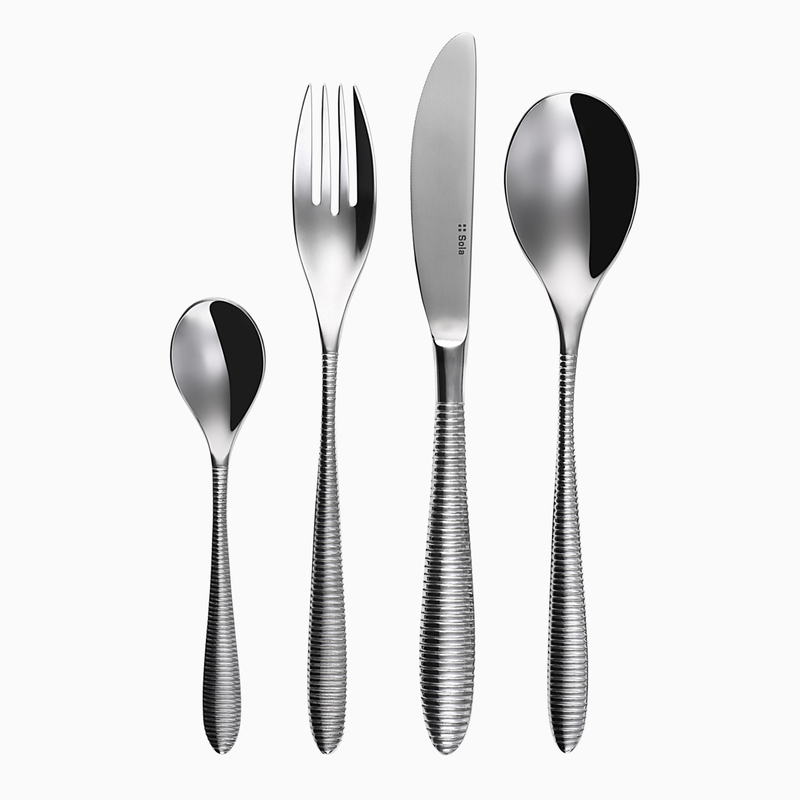 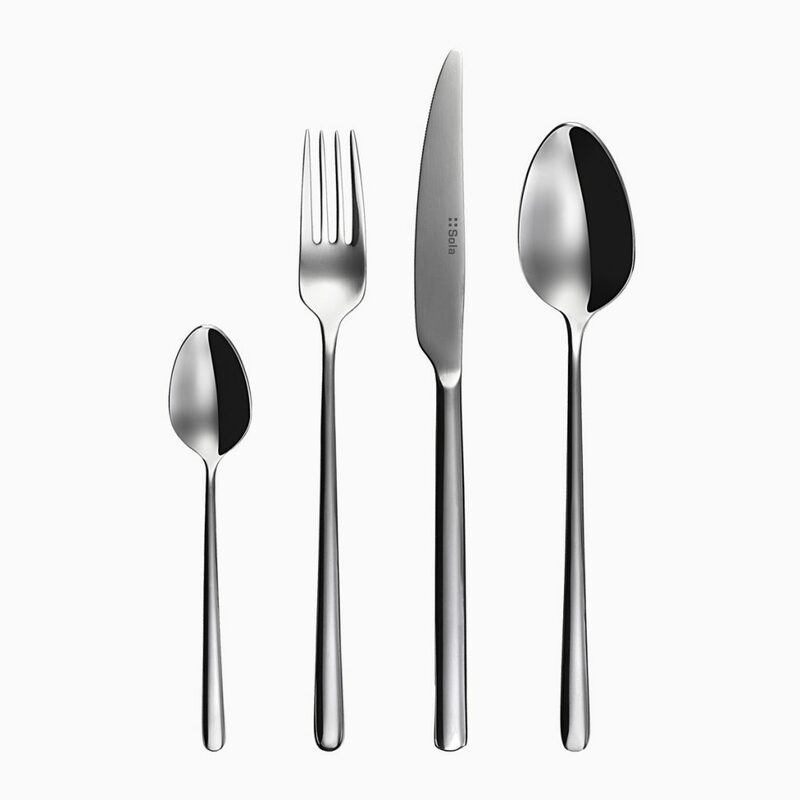 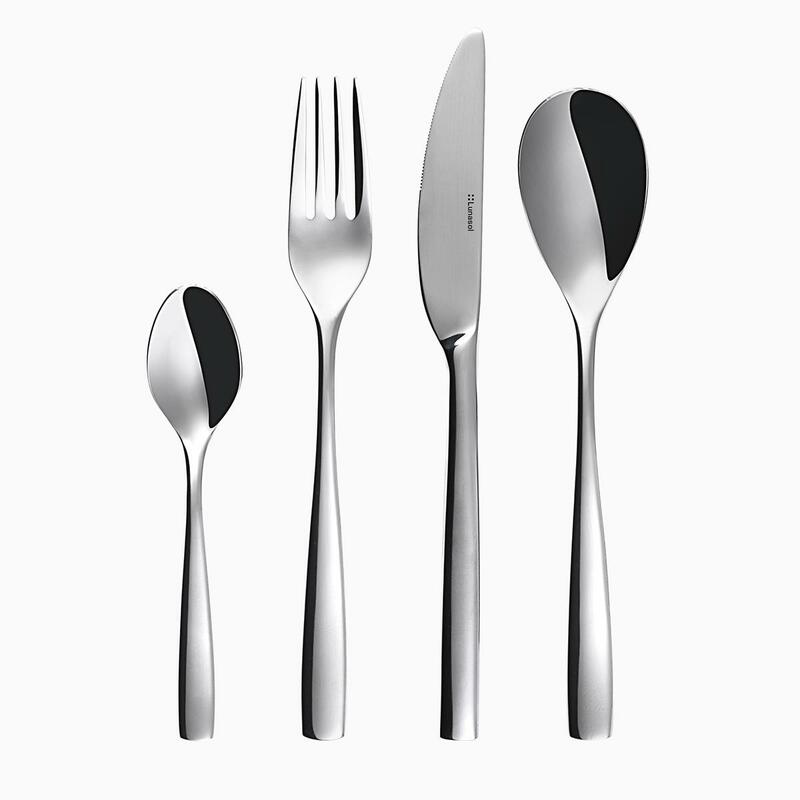 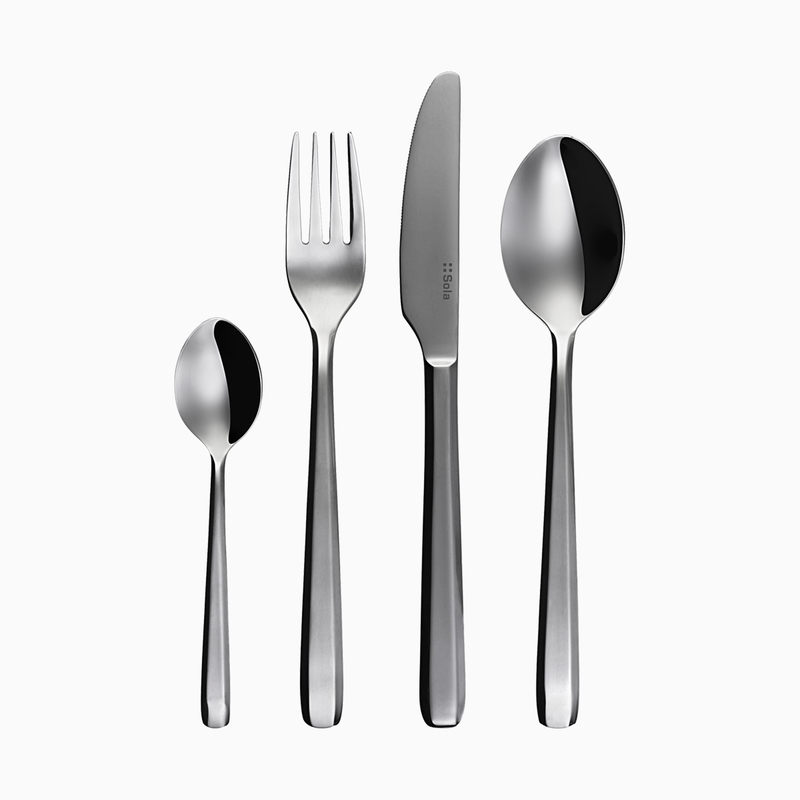 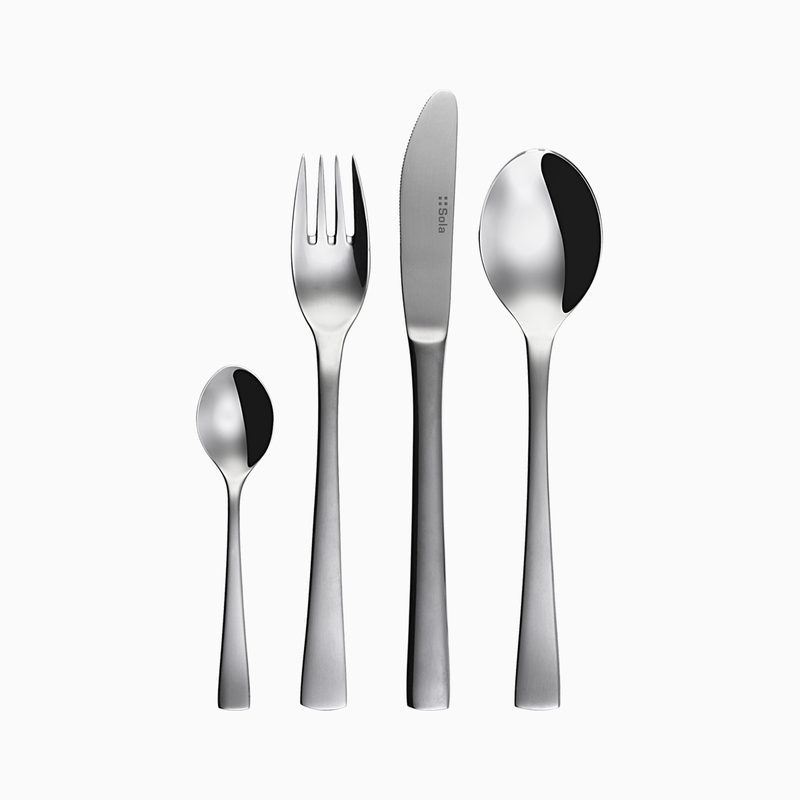 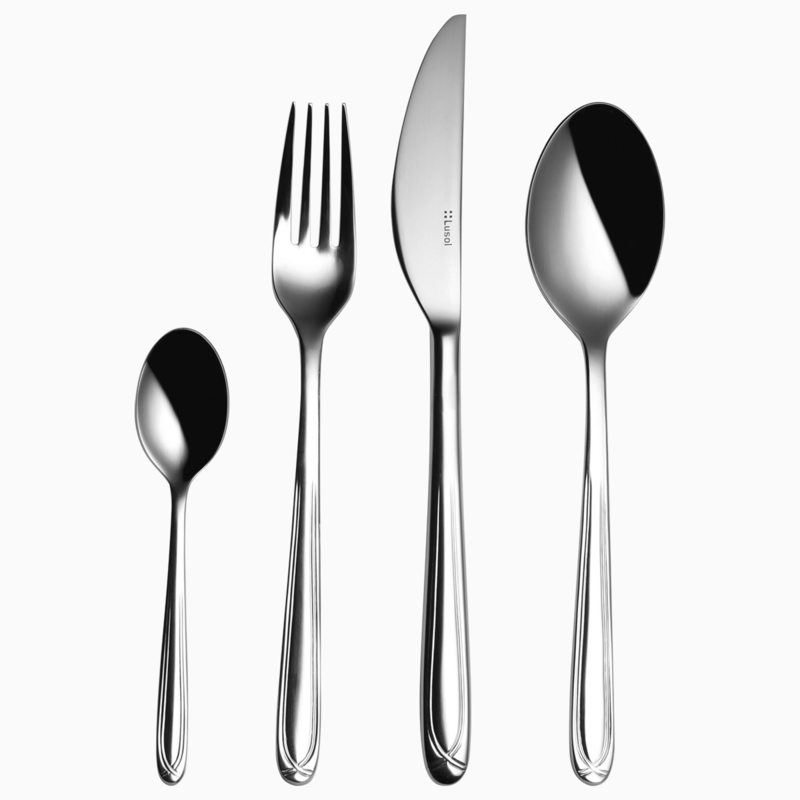 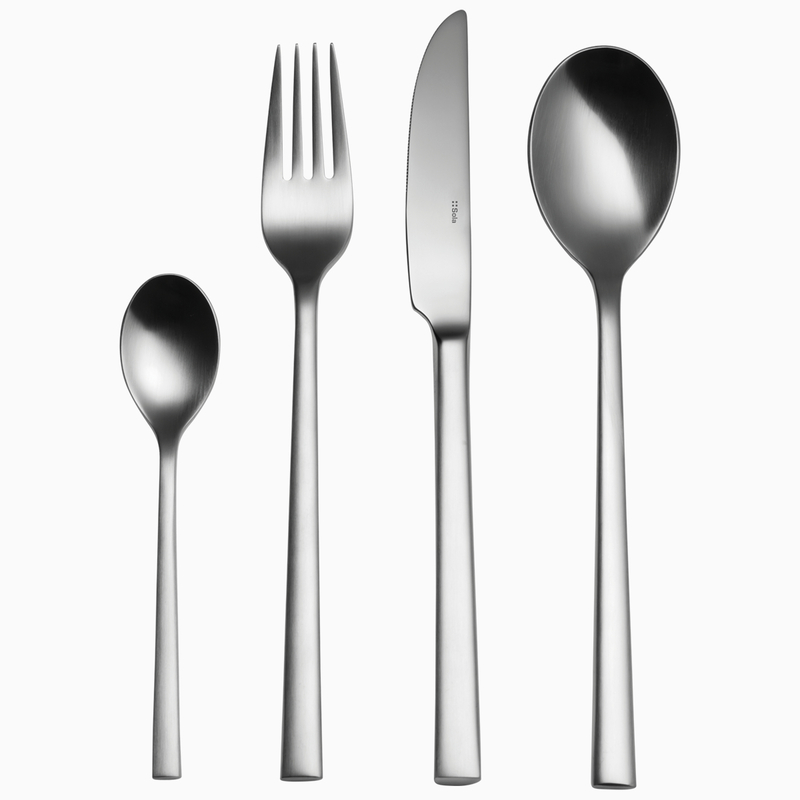 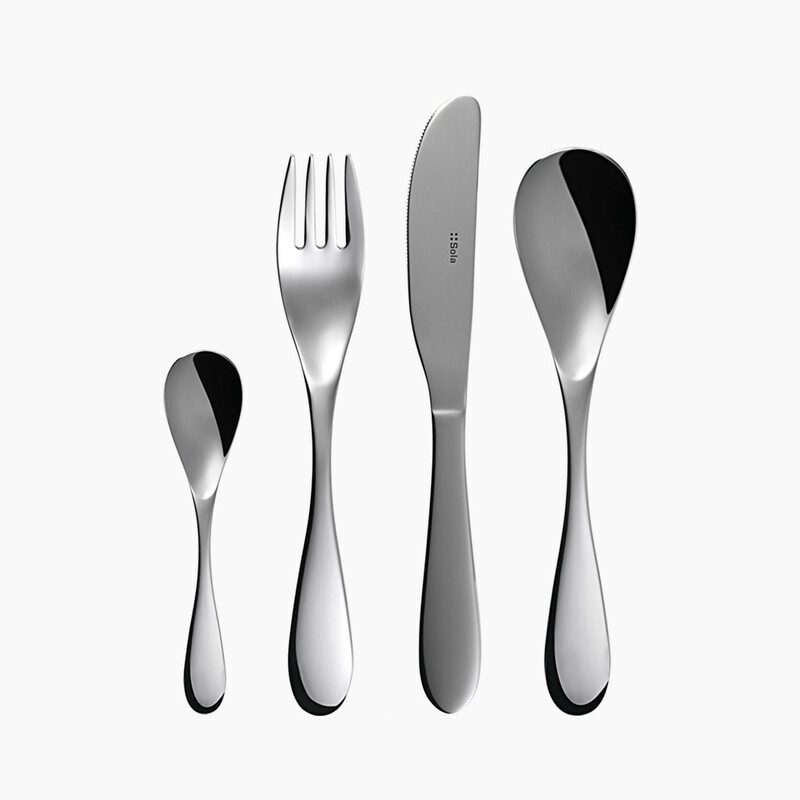 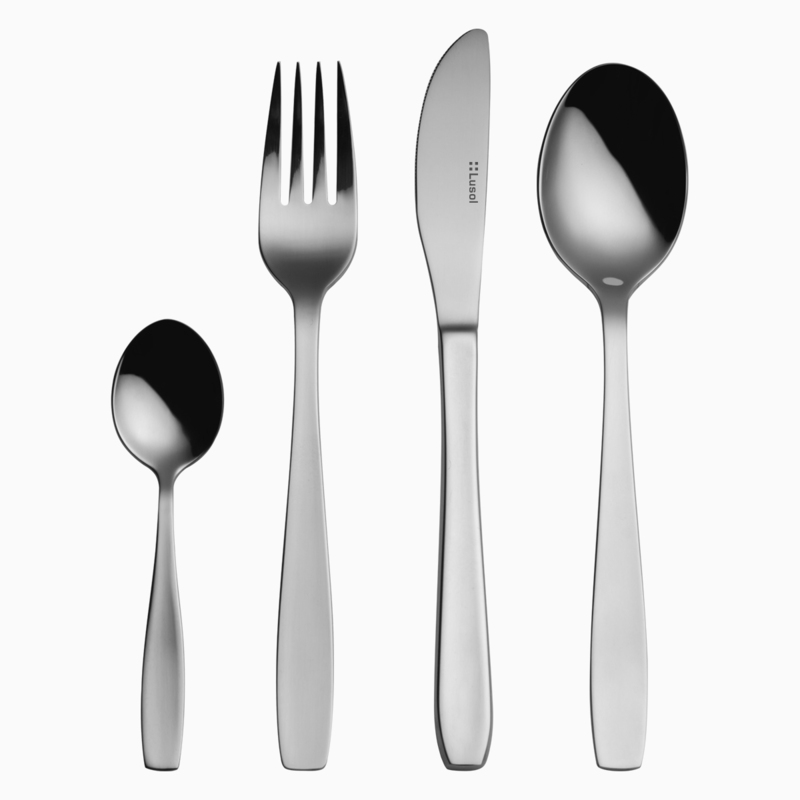 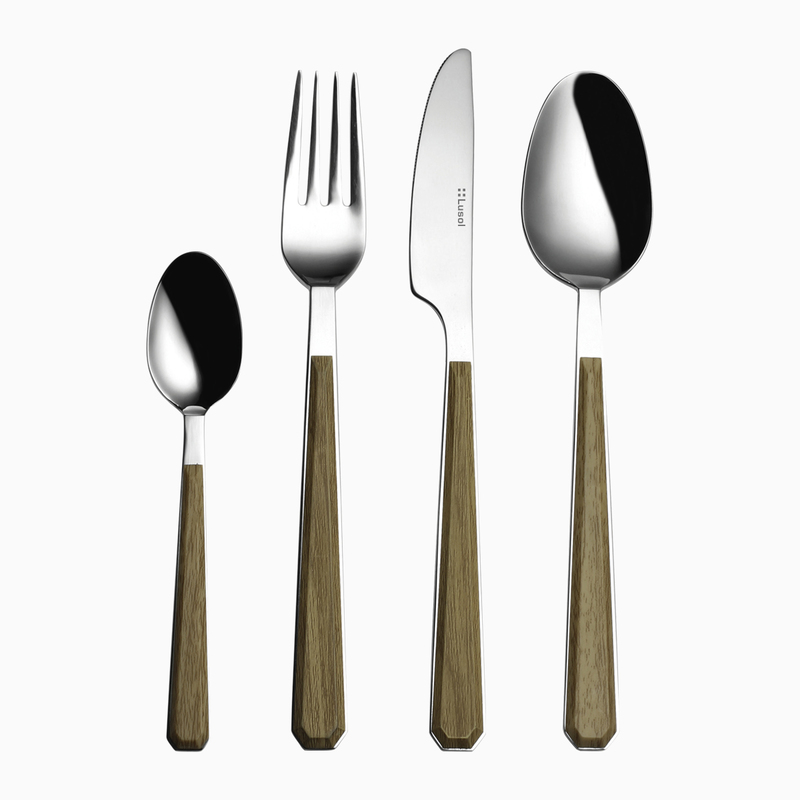 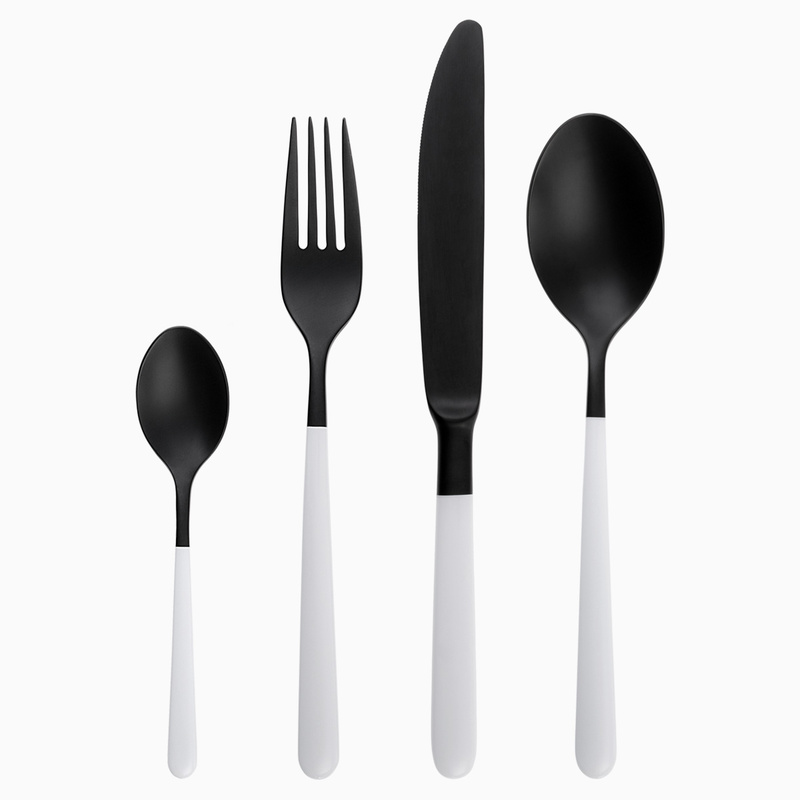 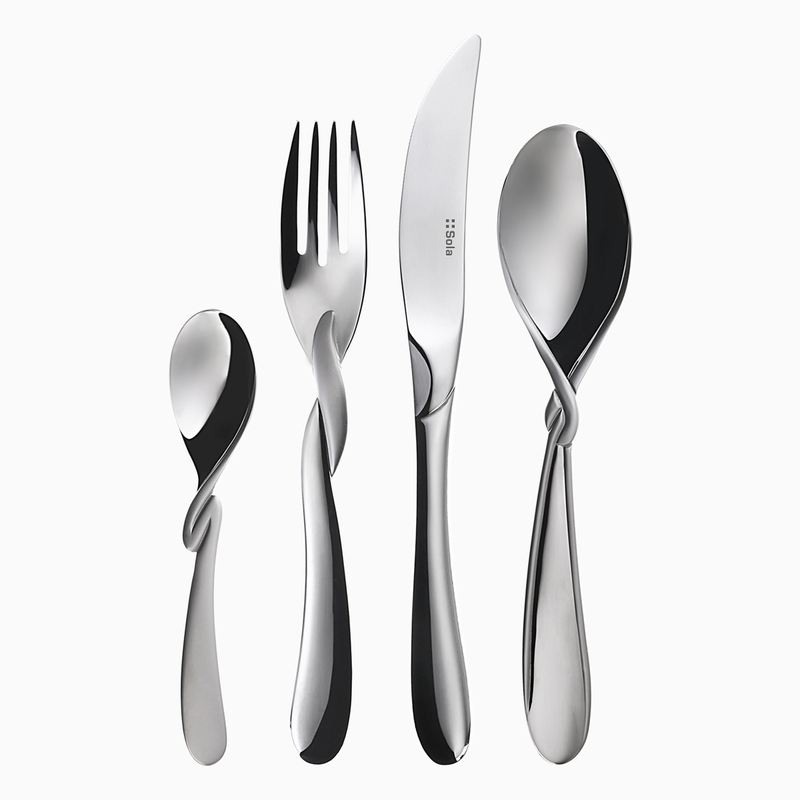 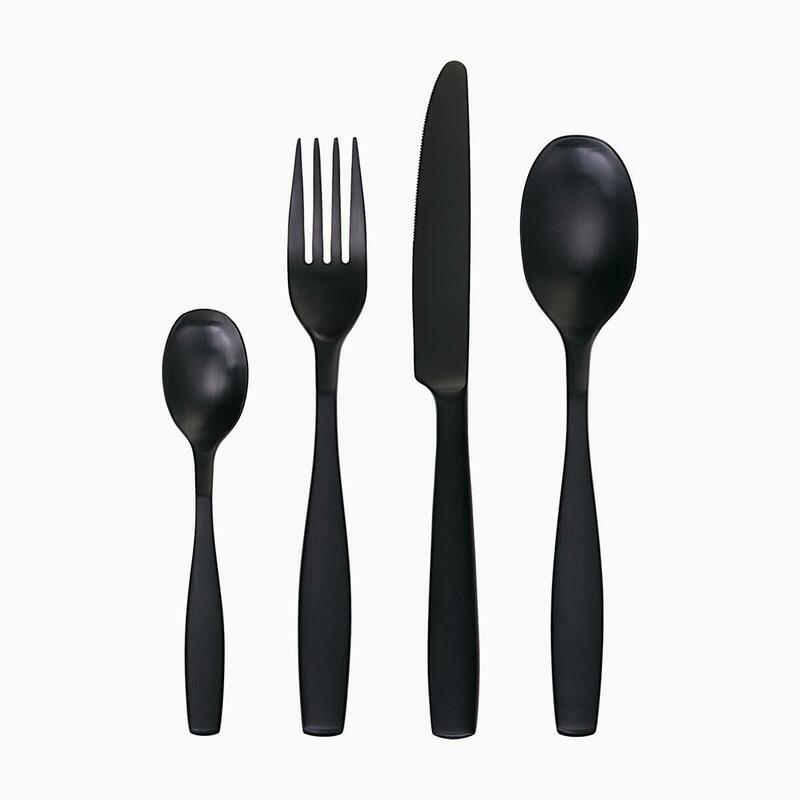 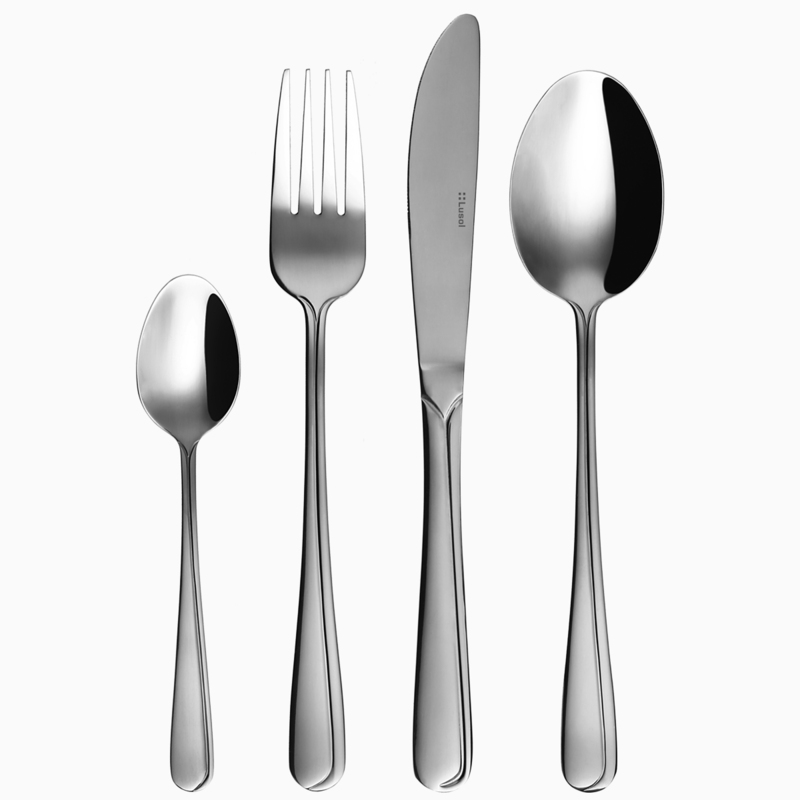 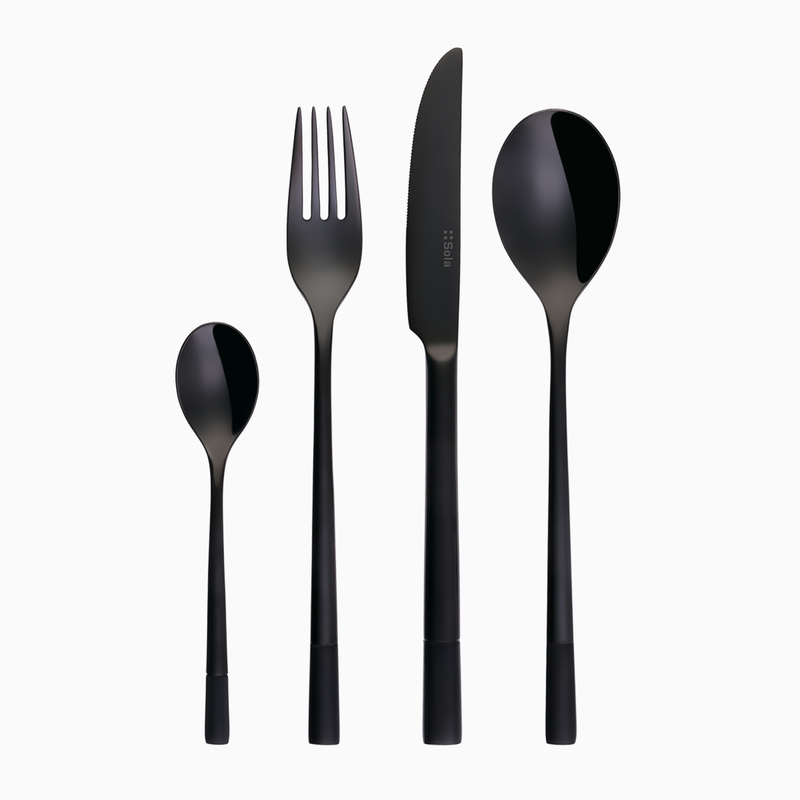 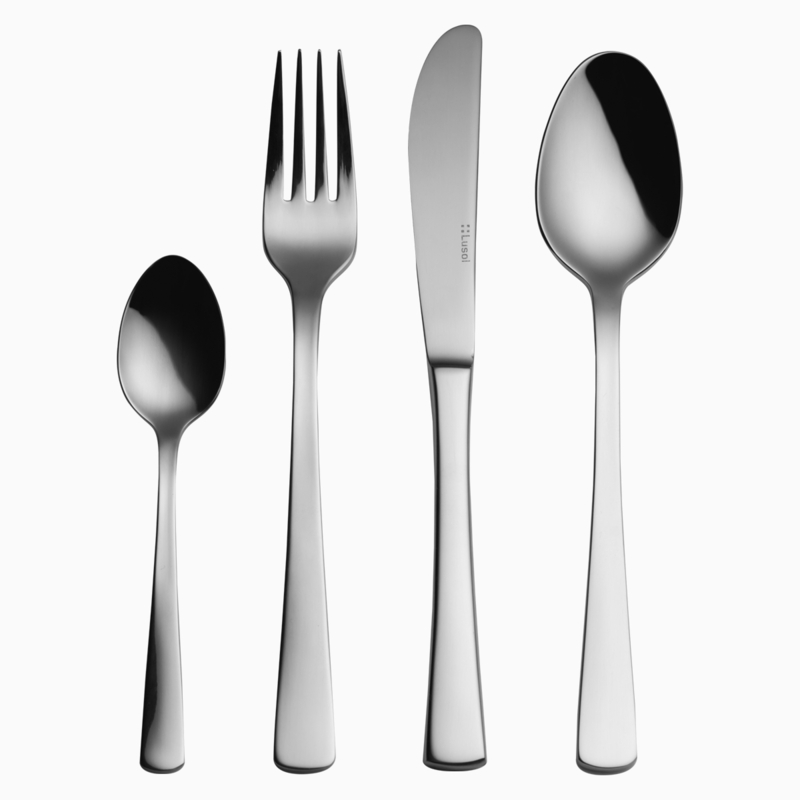 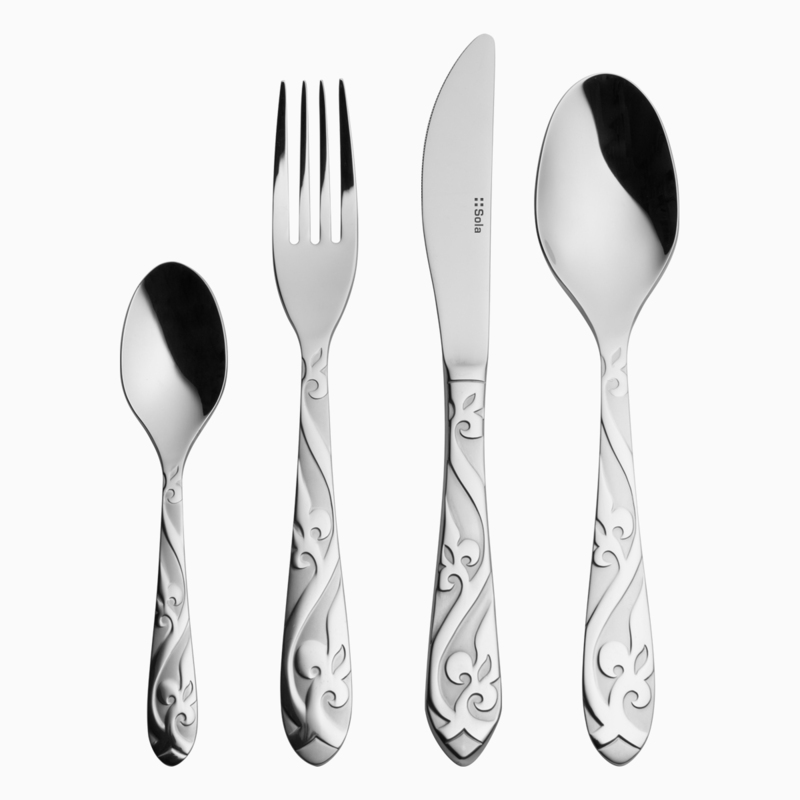 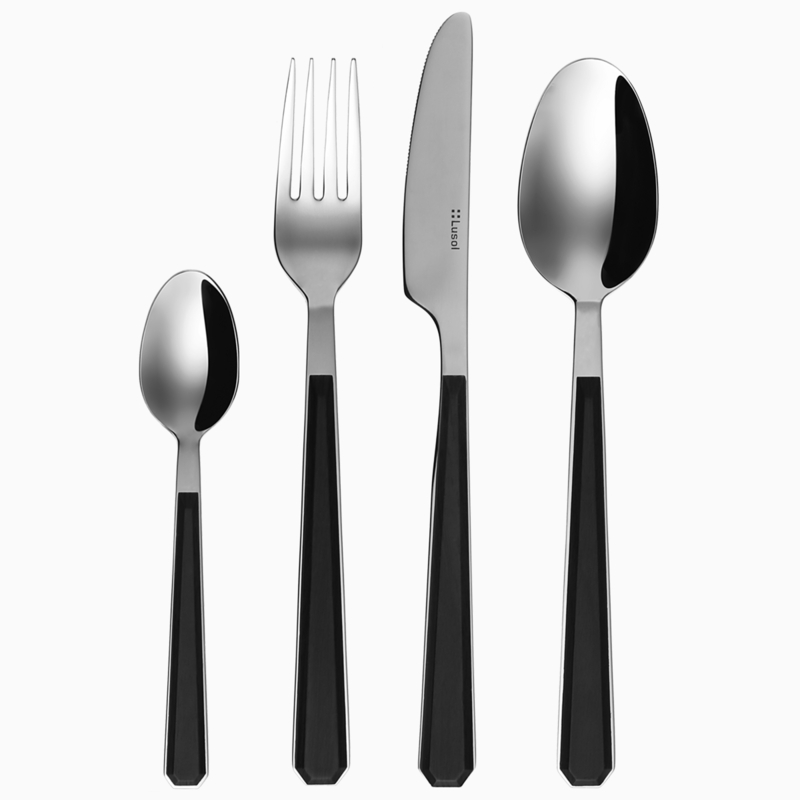 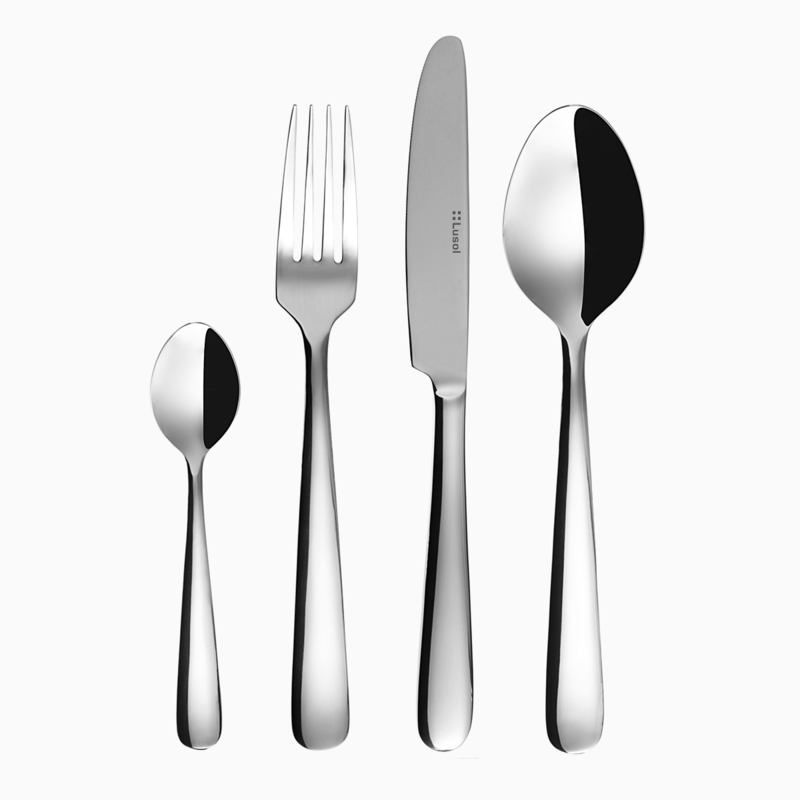 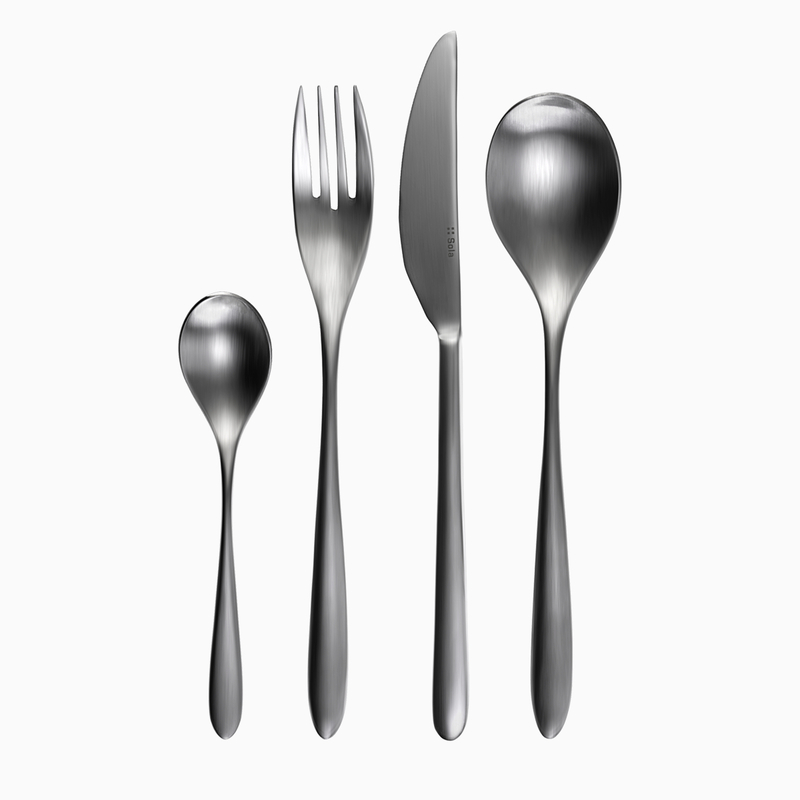 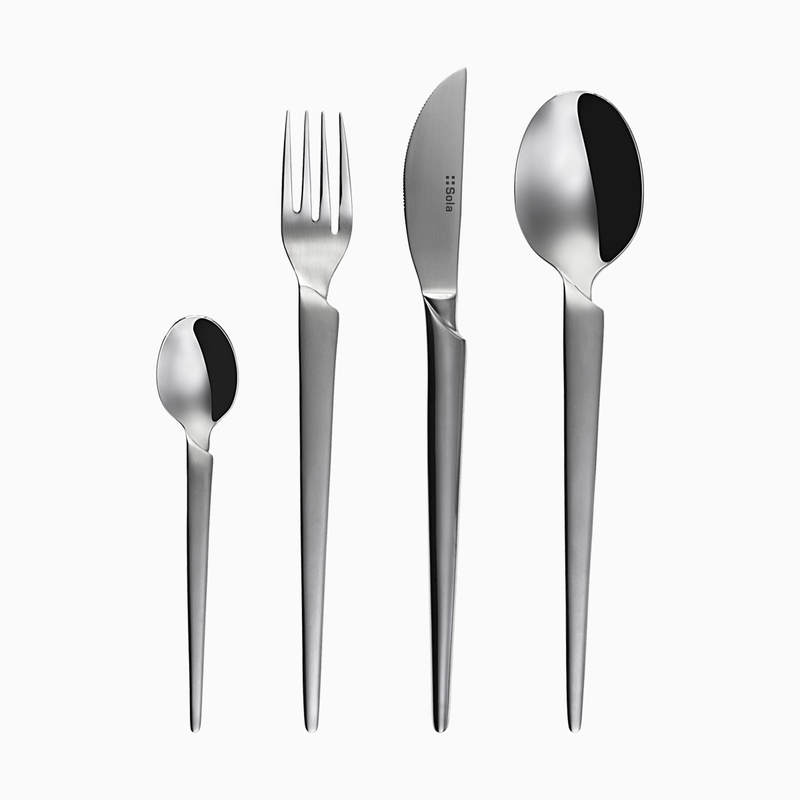 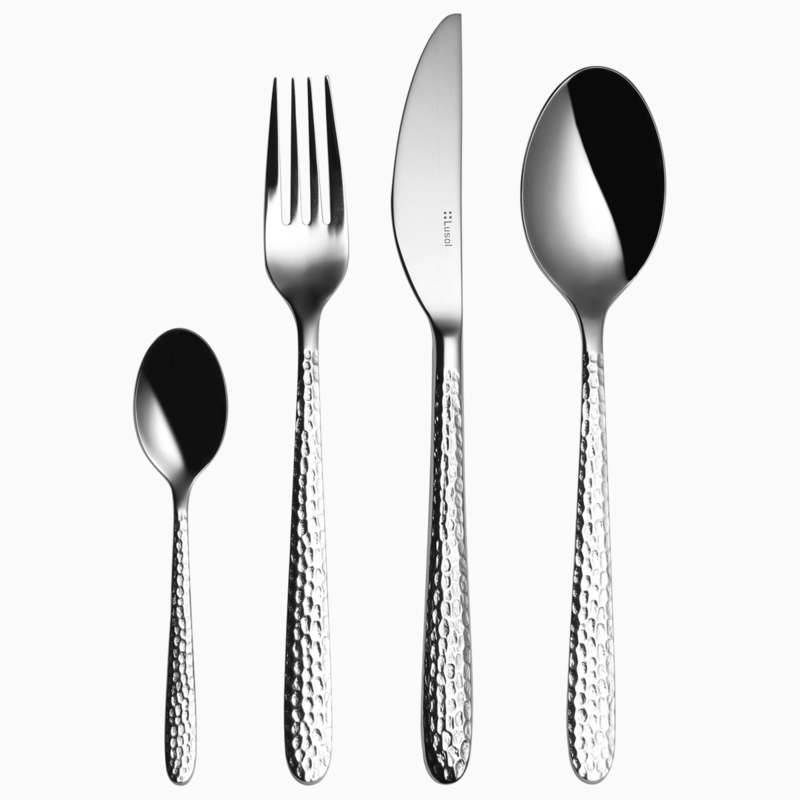 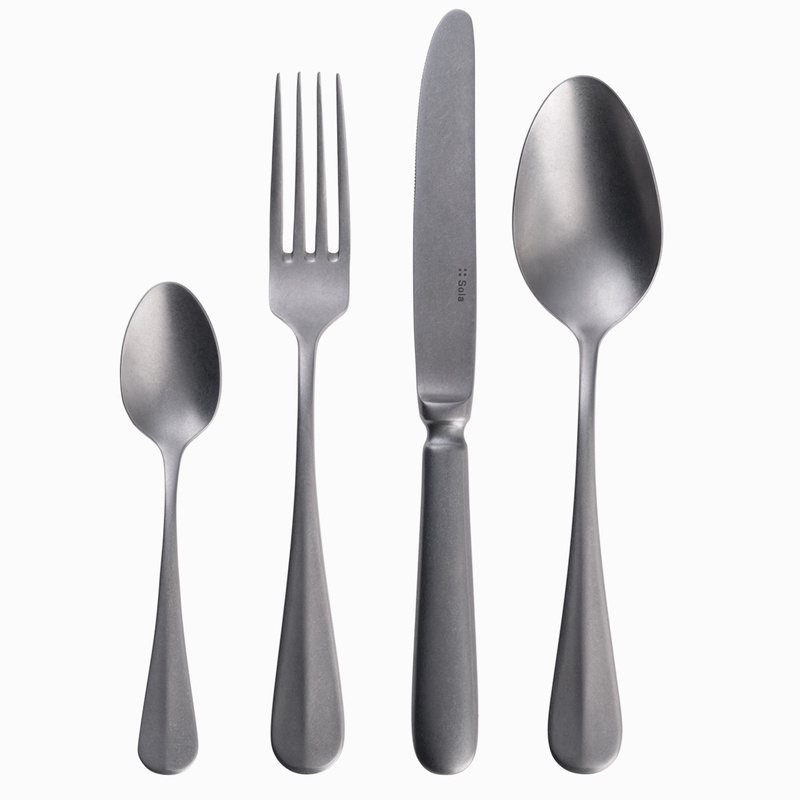 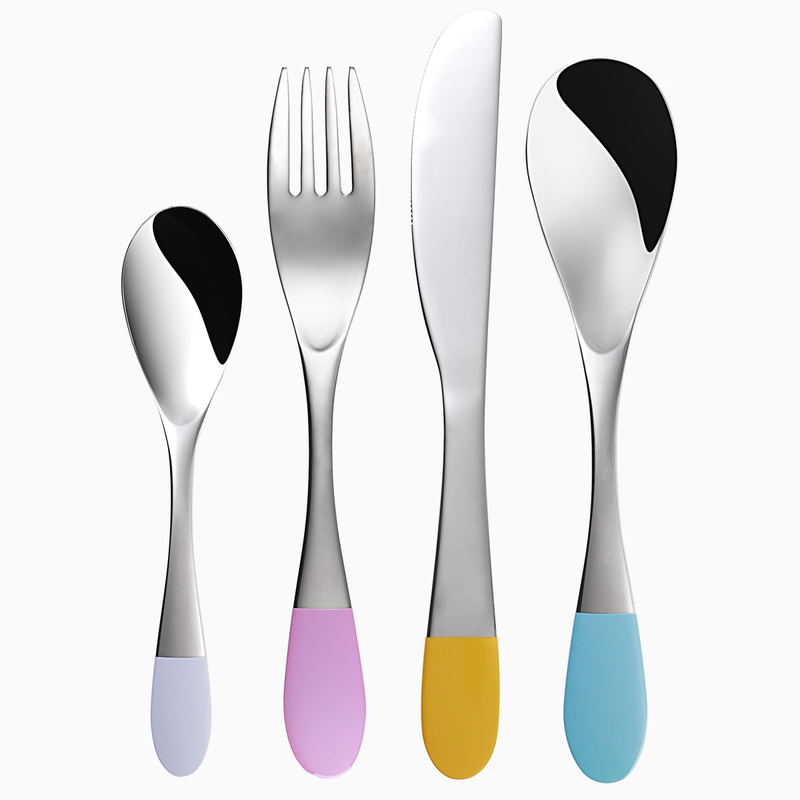 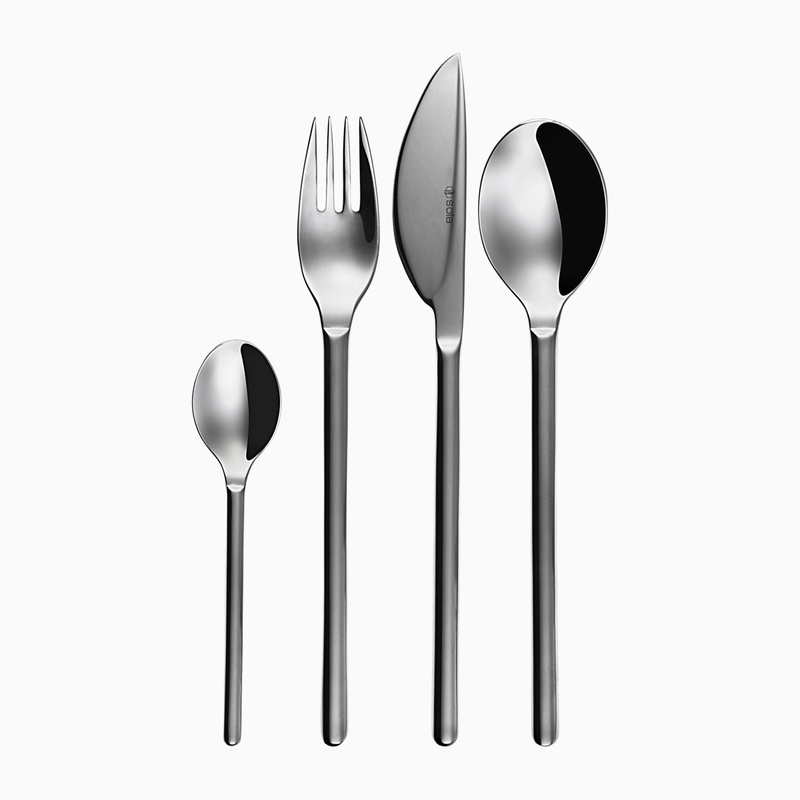 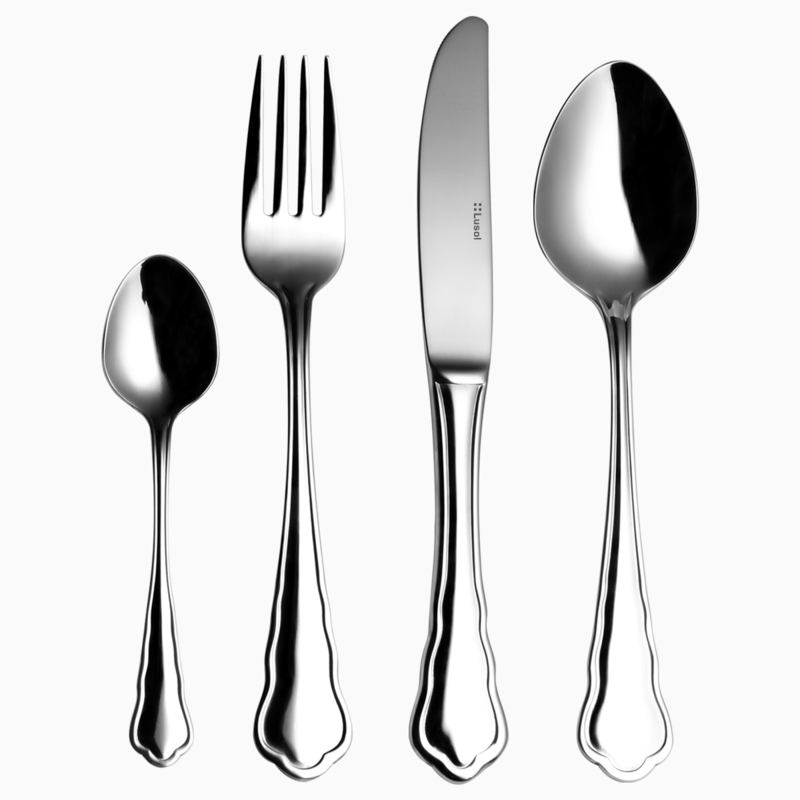 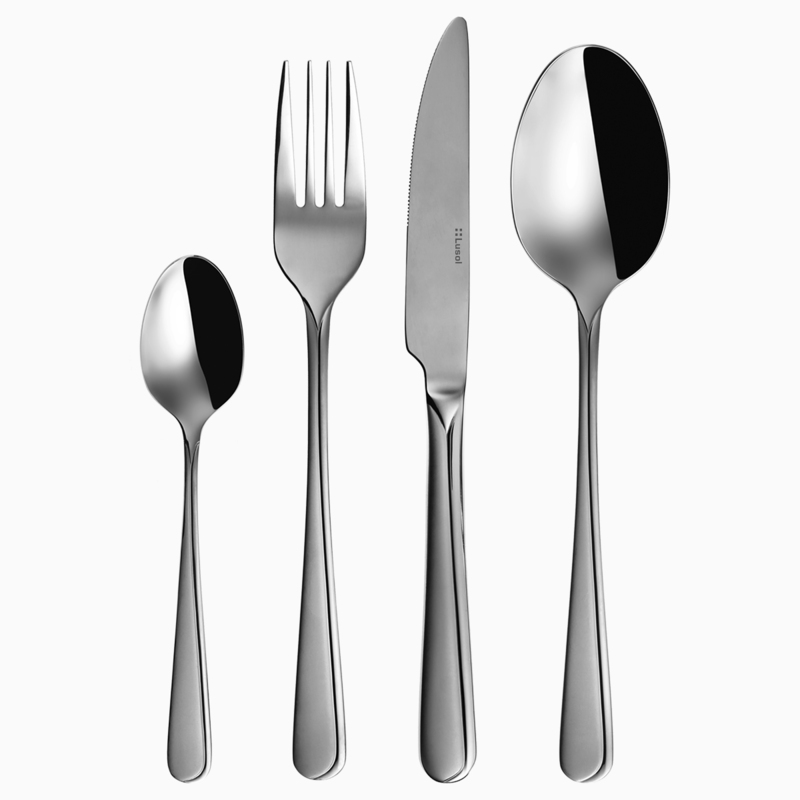 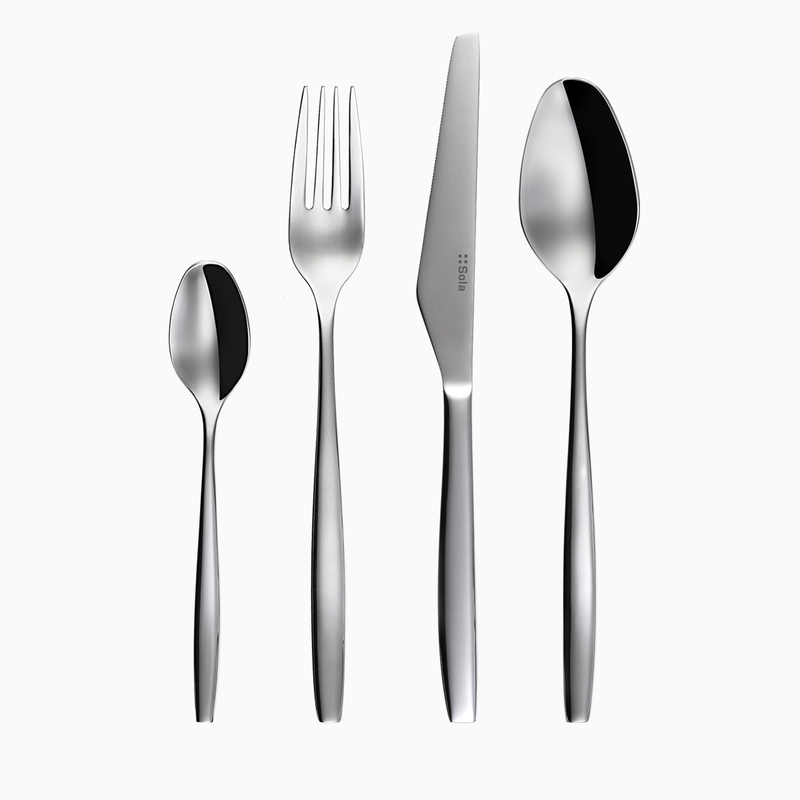 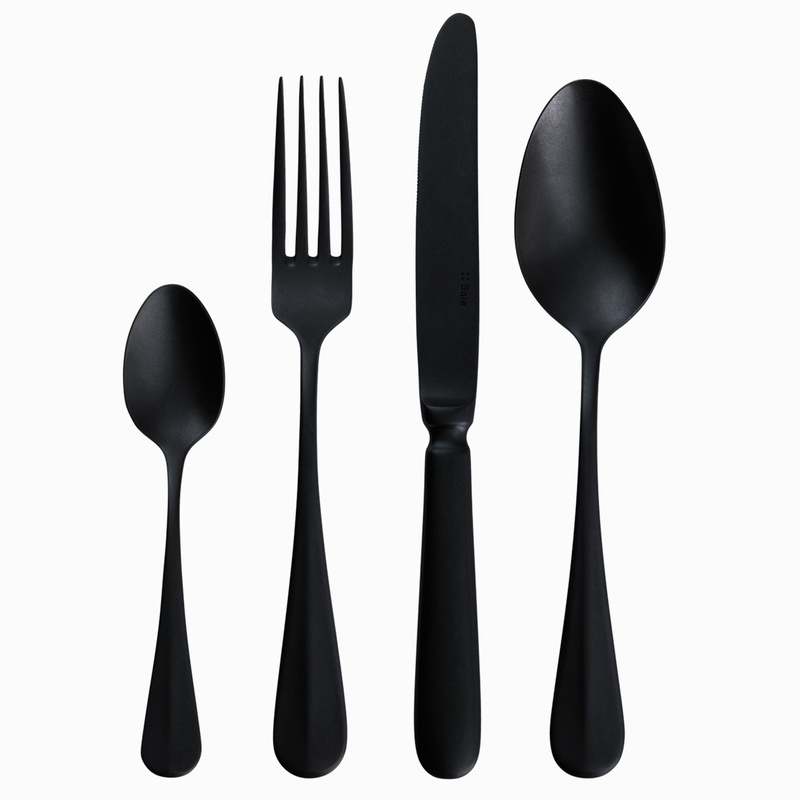 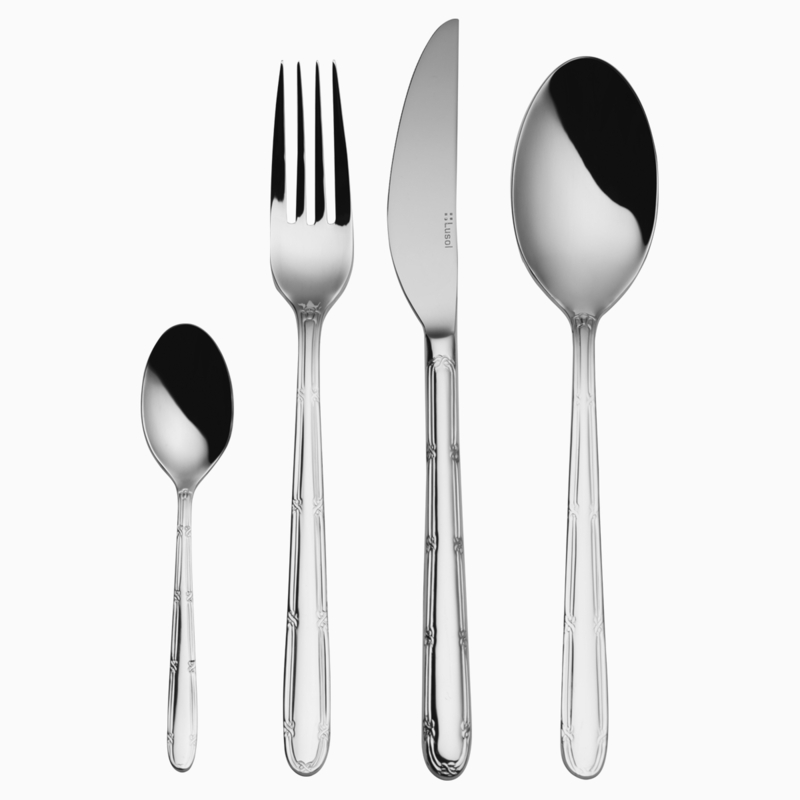 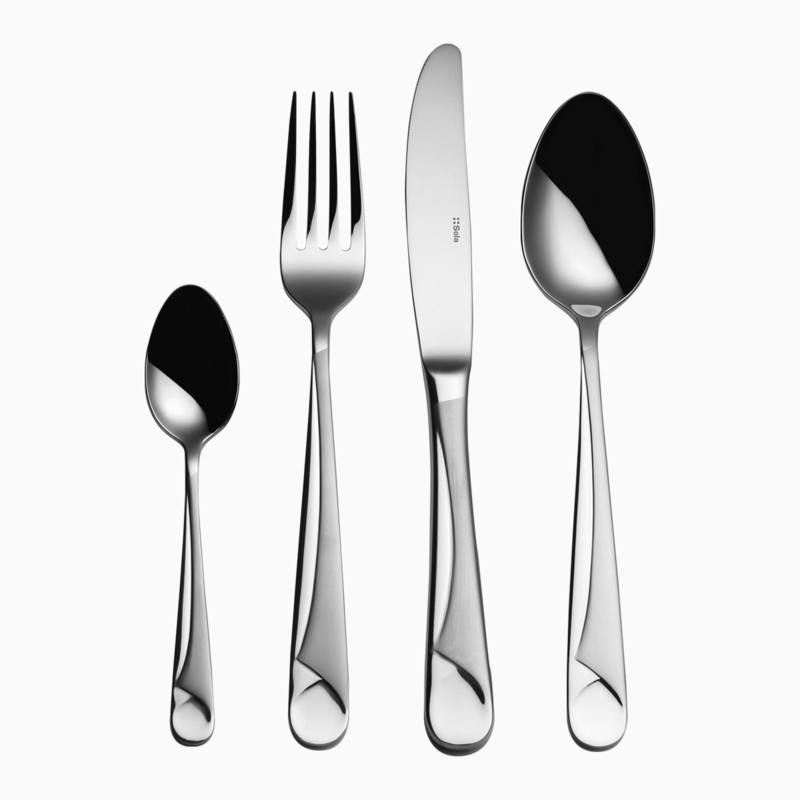 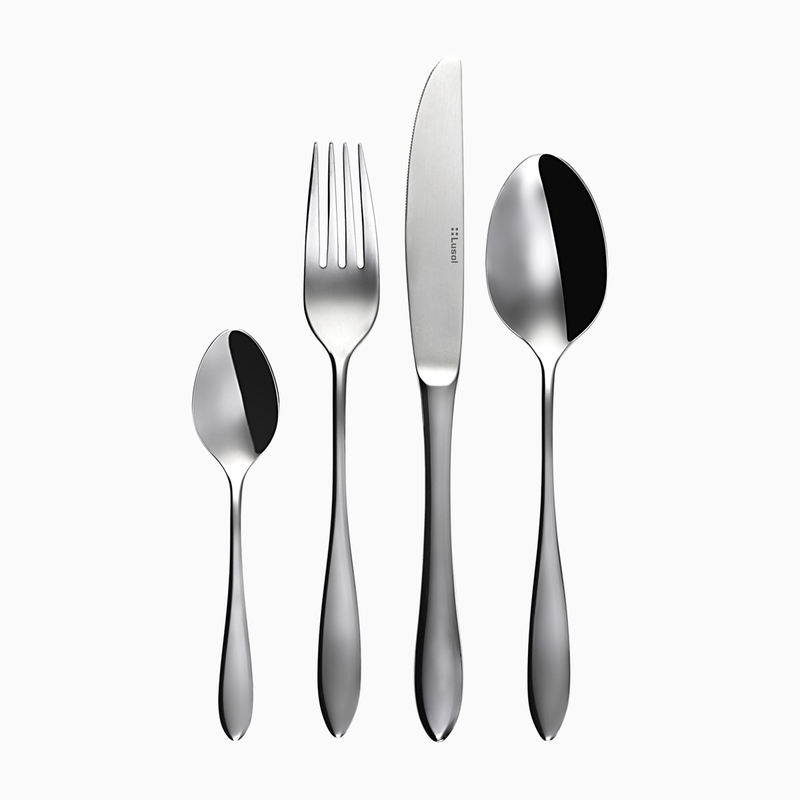 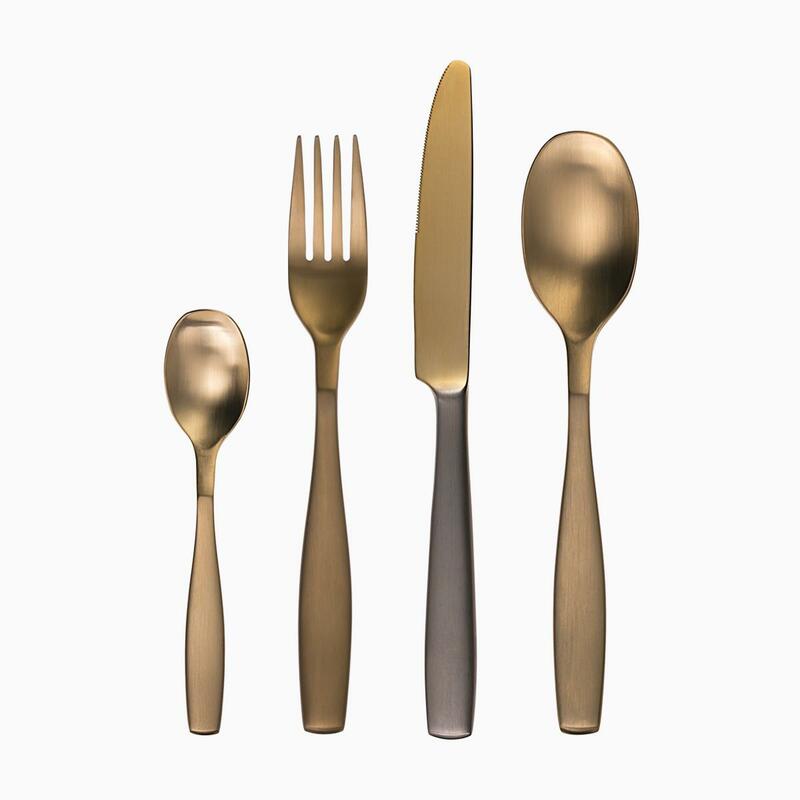 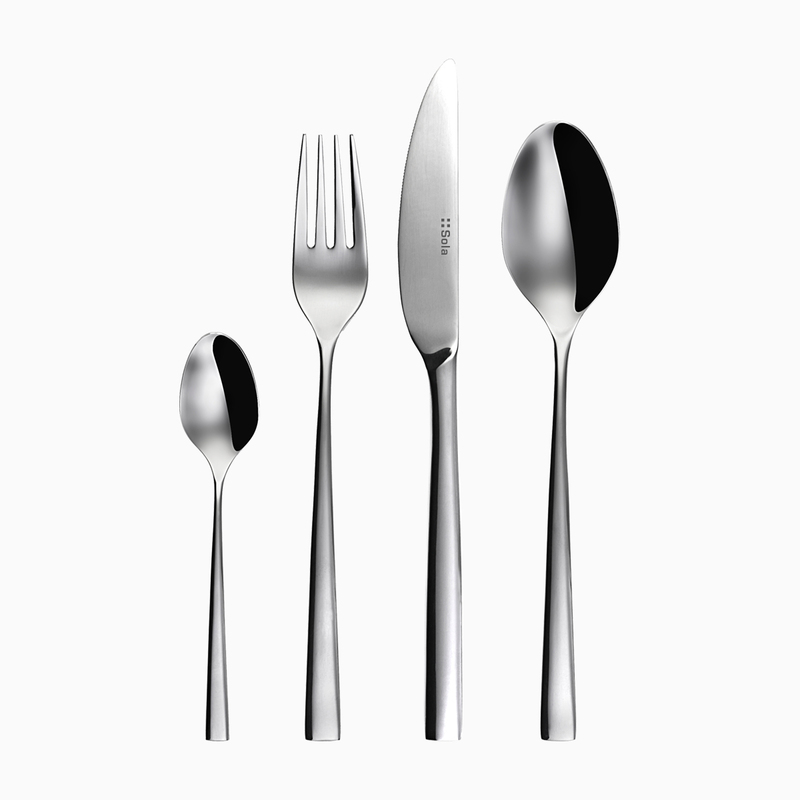 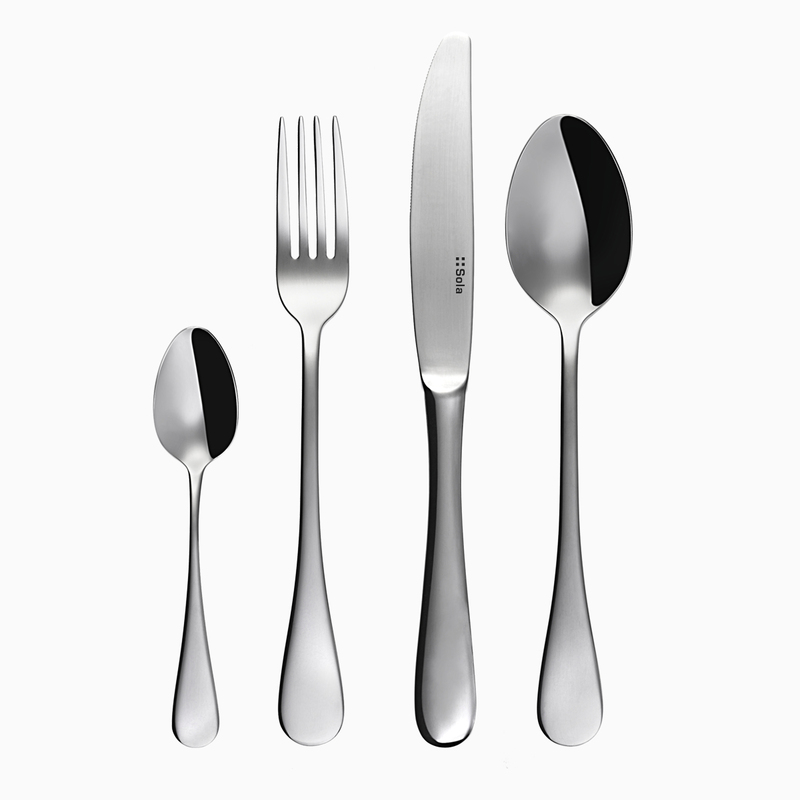 The company’s unique design competence coupled with well-equipped design studio, where full-size 3D models of cutlery can be designed and fashioned out of steel before prototypes are directly sent to the manufacturing sites, helps in maintaining our permanent support and reactivity toward our customers. 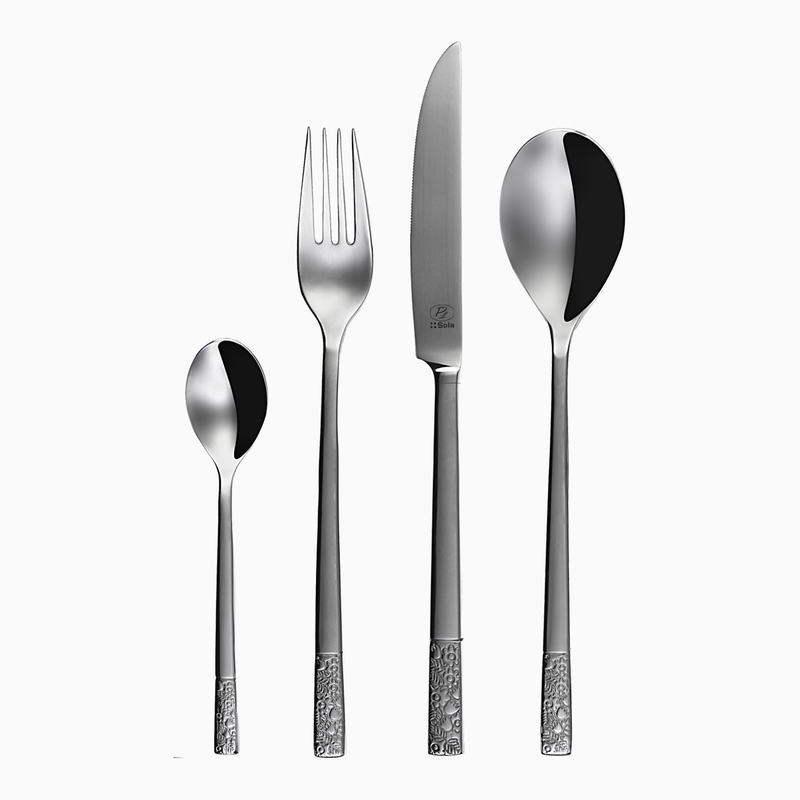 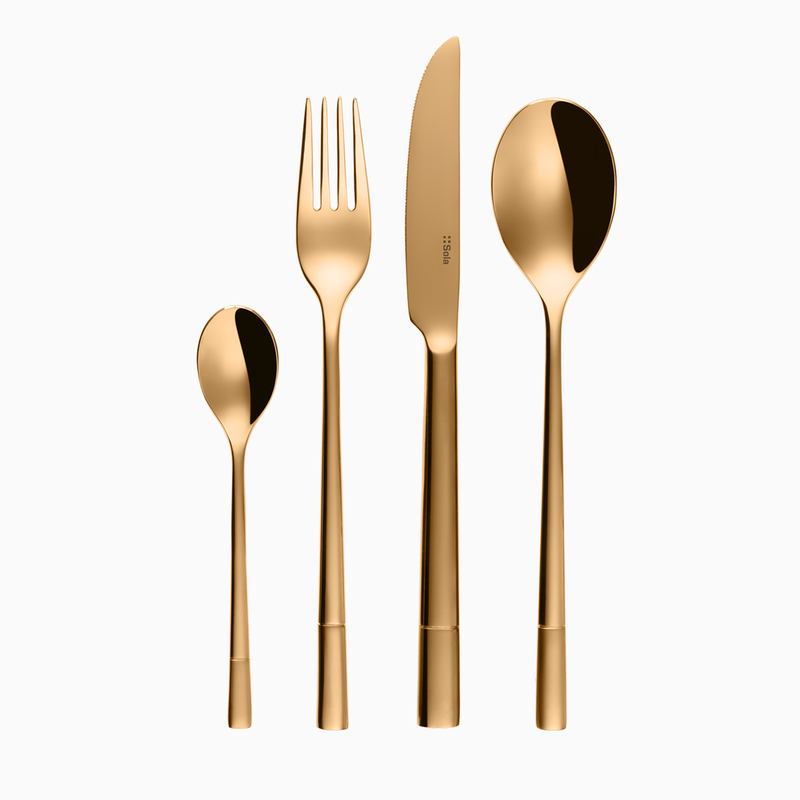 If you have any further enquiries about JM Style’s extensive collection of Sola cutlery, or would like some assistance in selecting the right set for you, feel free to get in touch with our friendly and knowledgeable team. 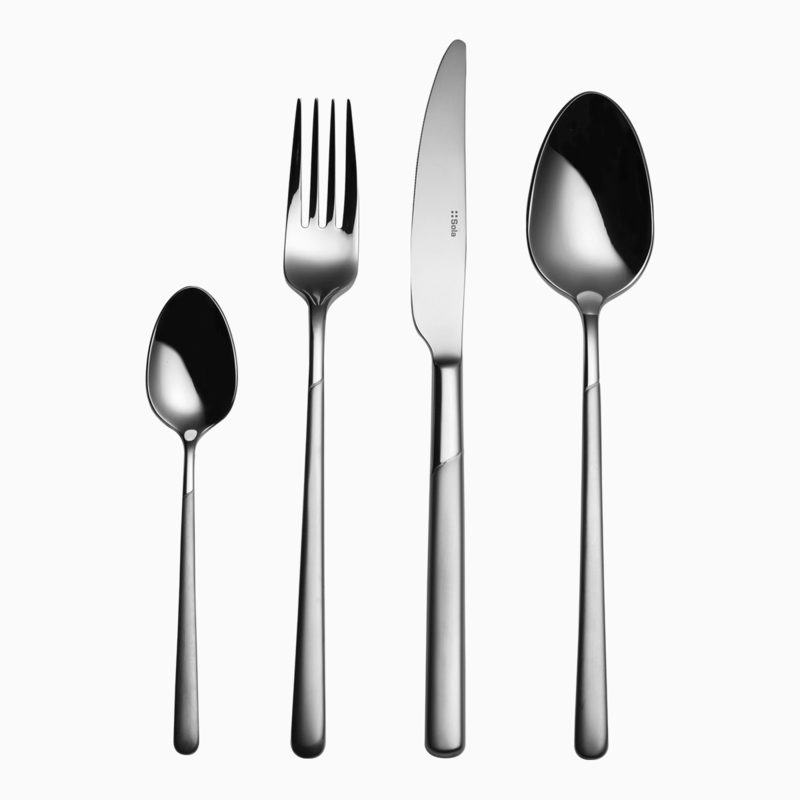 Call +61 2 8005 1636 and one of our team will be happy to answer your questions.